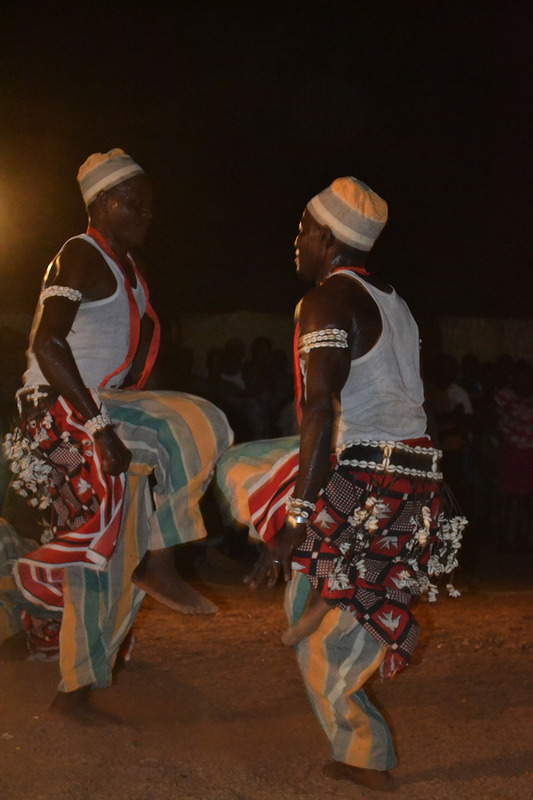 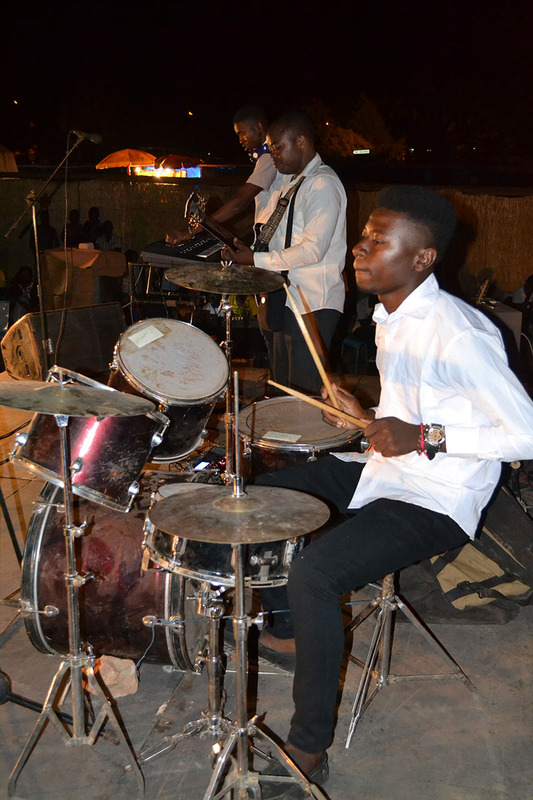 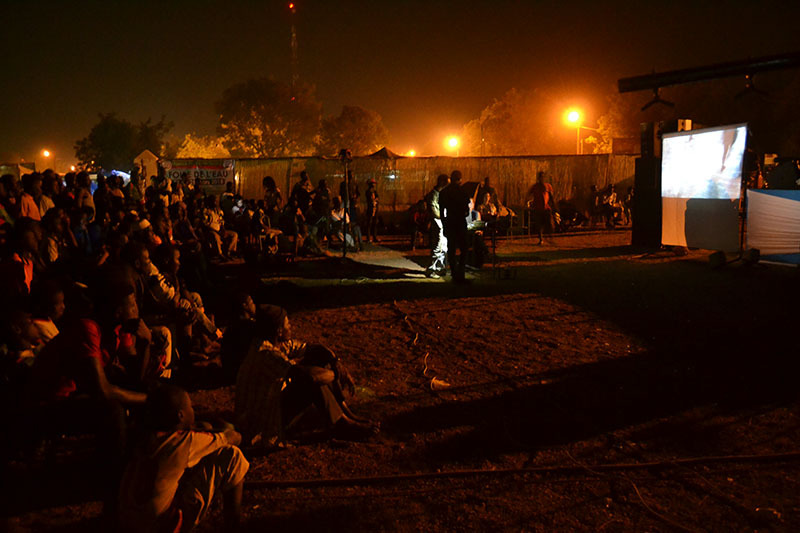 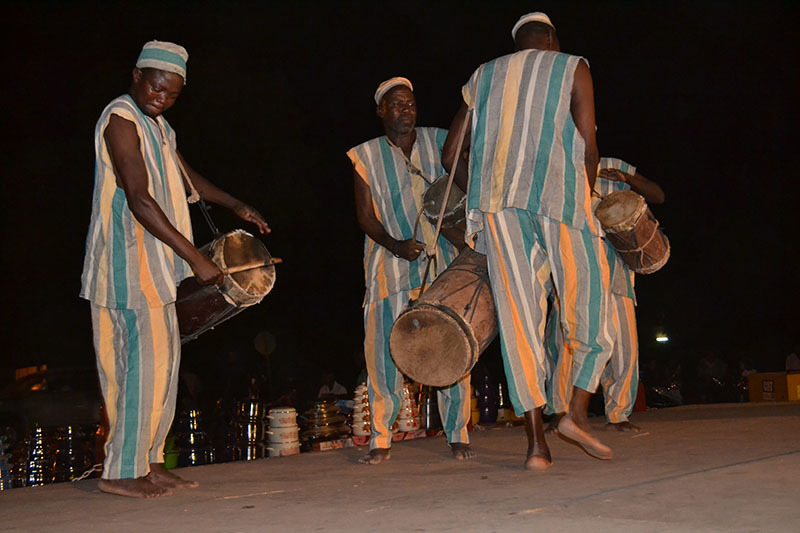 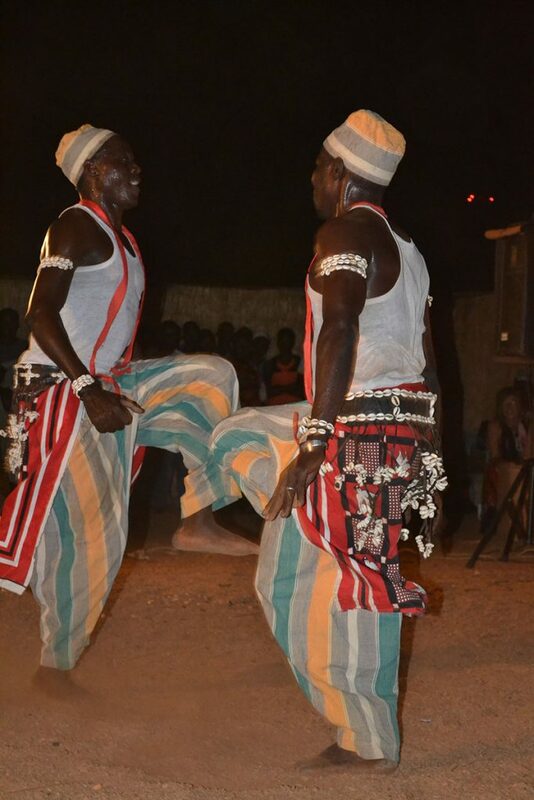 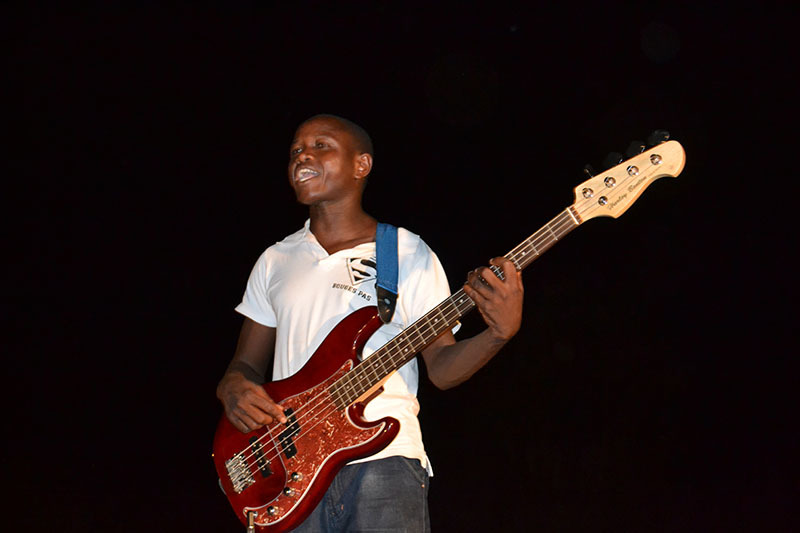 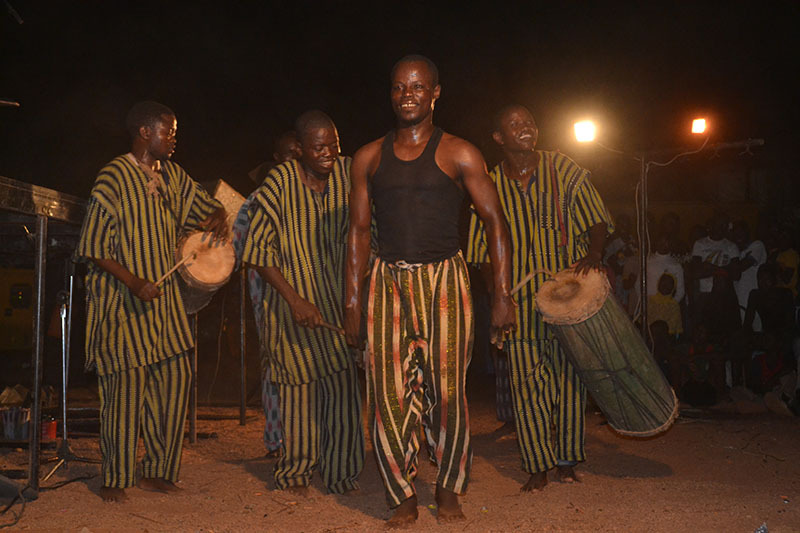 Because the Cultural Arts are so important to BARKA Foundation, we integrate them into everything we do. 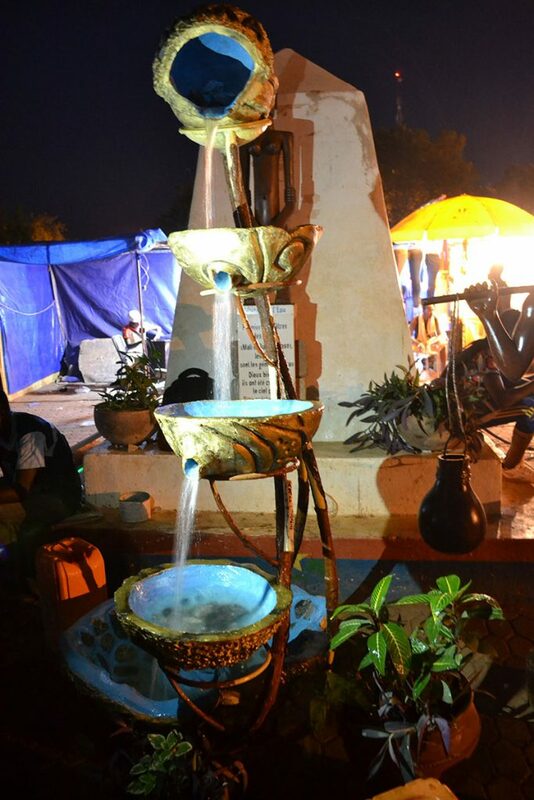 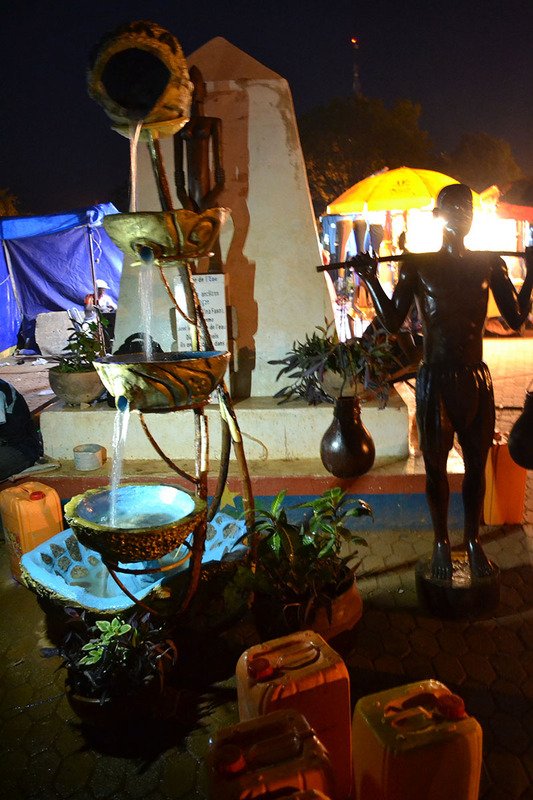 Therefore it wasn’t possible to produce The Water Fair without lots of traditional and modern artistic performances during “The Nights of the Fair”. 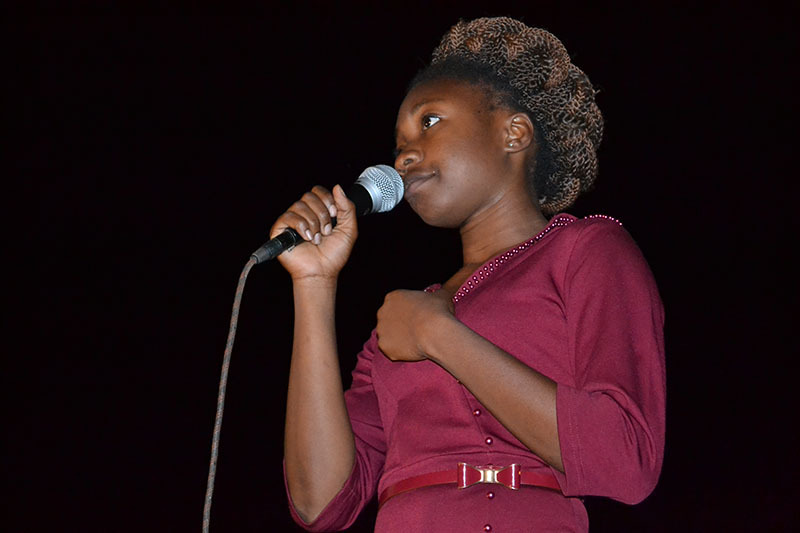 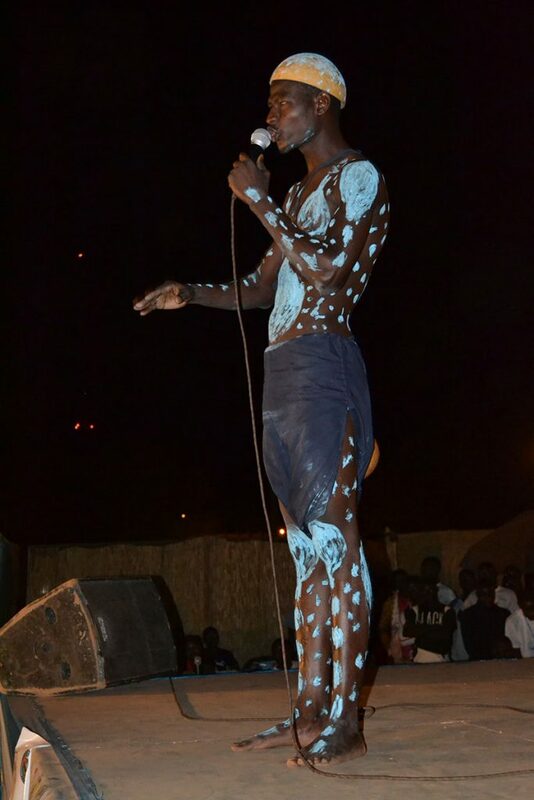 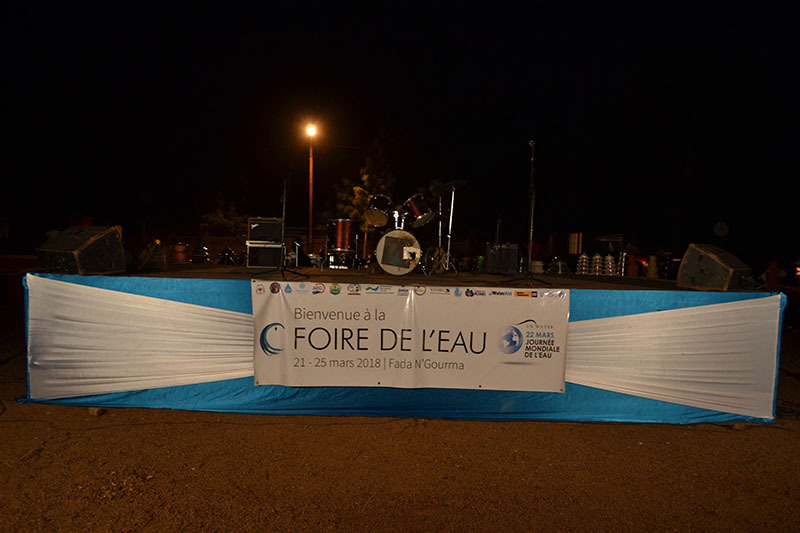 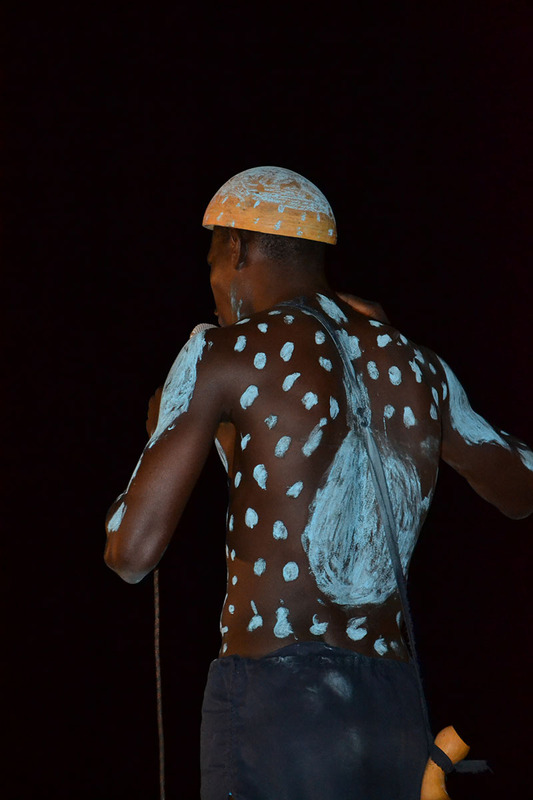 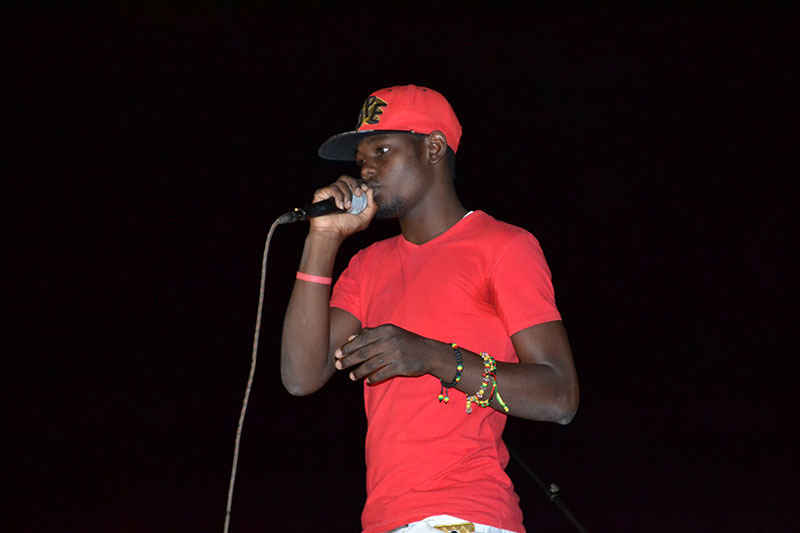 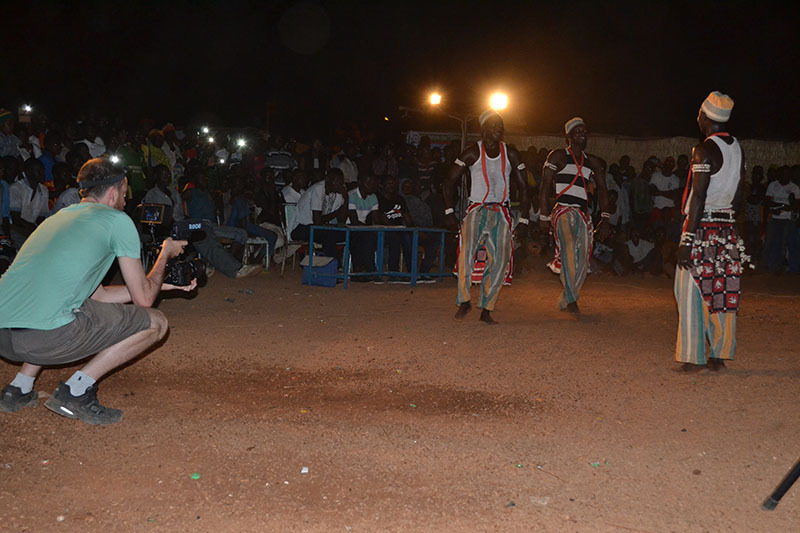 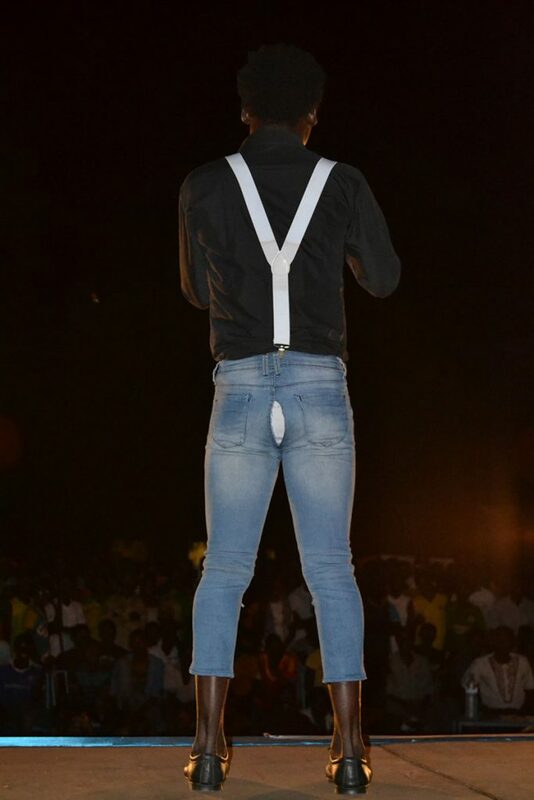 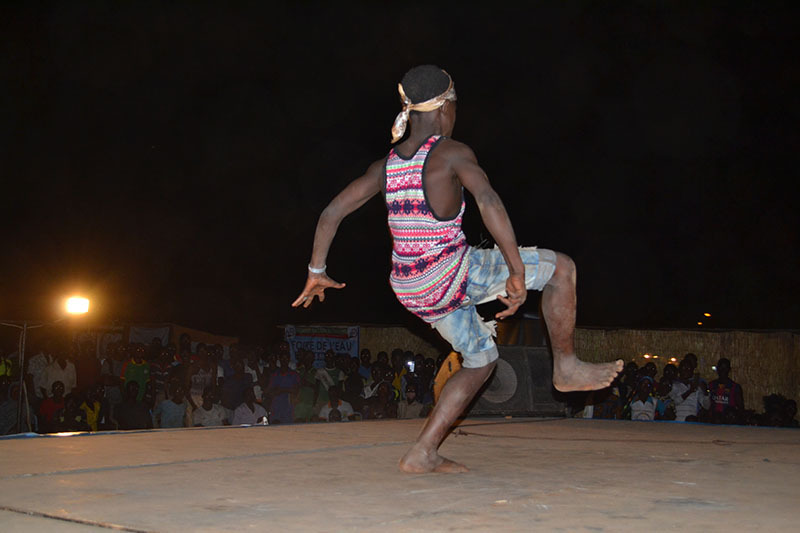 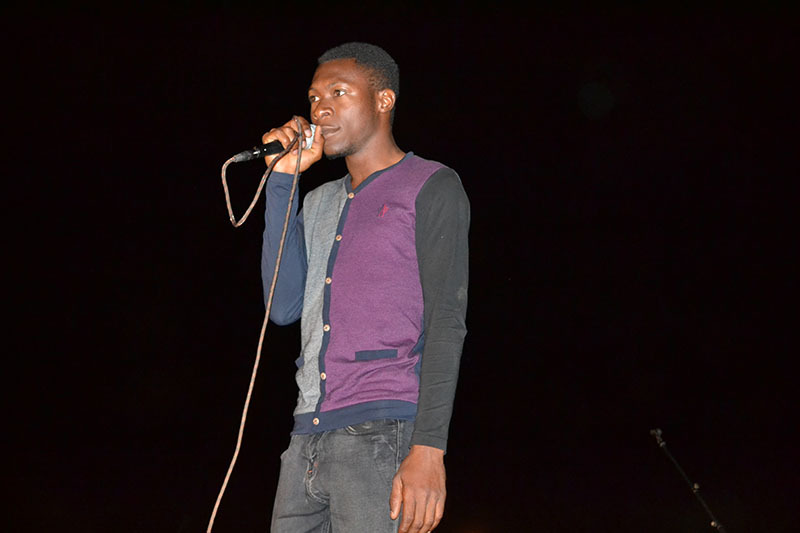 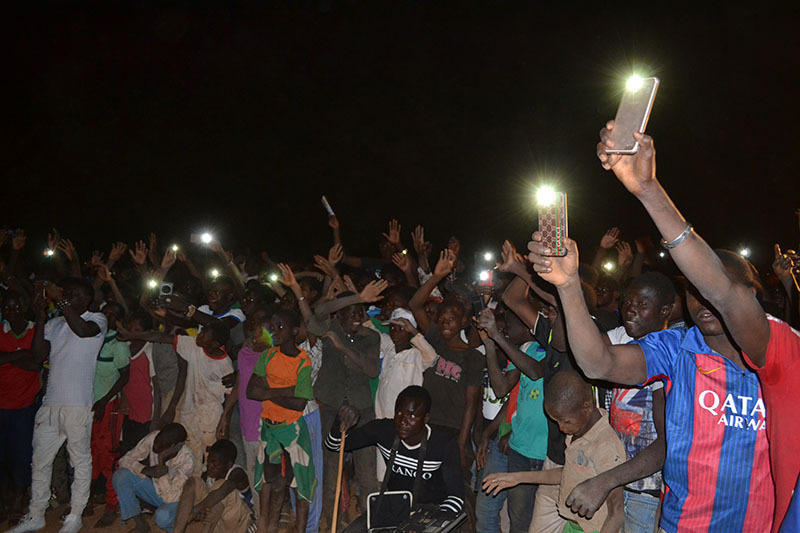 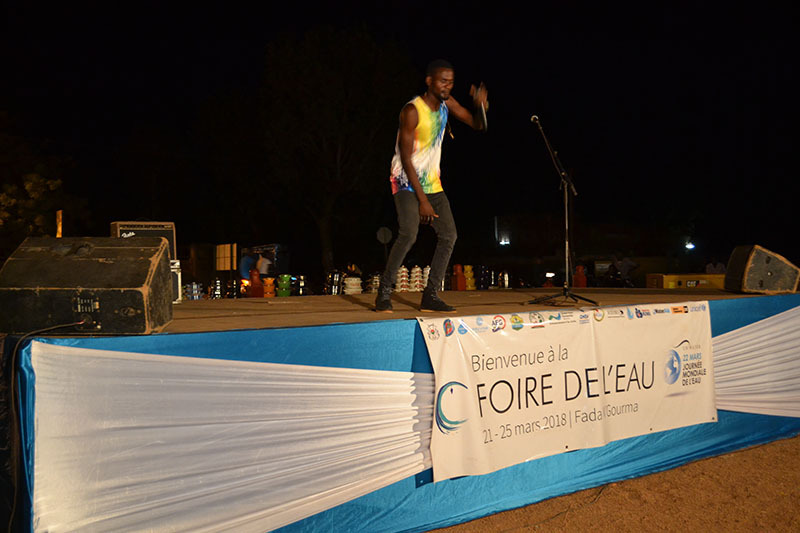 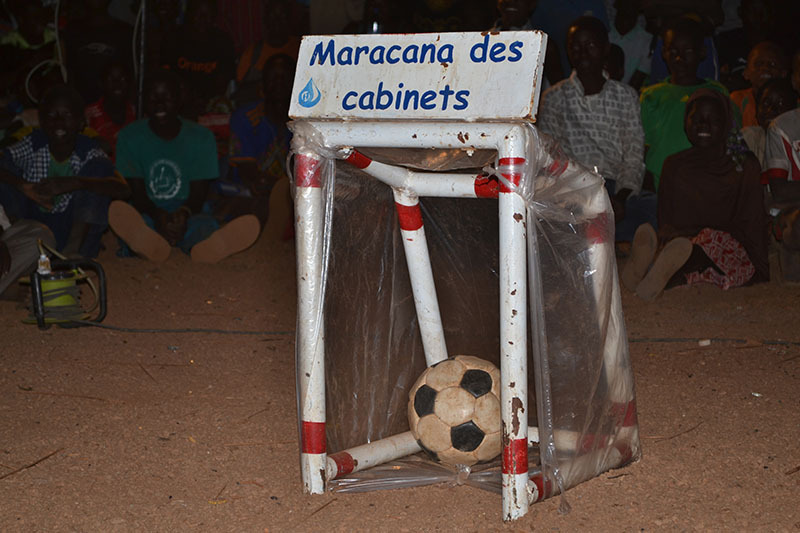 Each night was dedicated to a different theme- water, sanitation or hygiene, and included sensitization games for kids, a water-themed SLAM competition, comedic skits, and a full roster of live performances including traditional Gour’mache dance troupes and musicians. 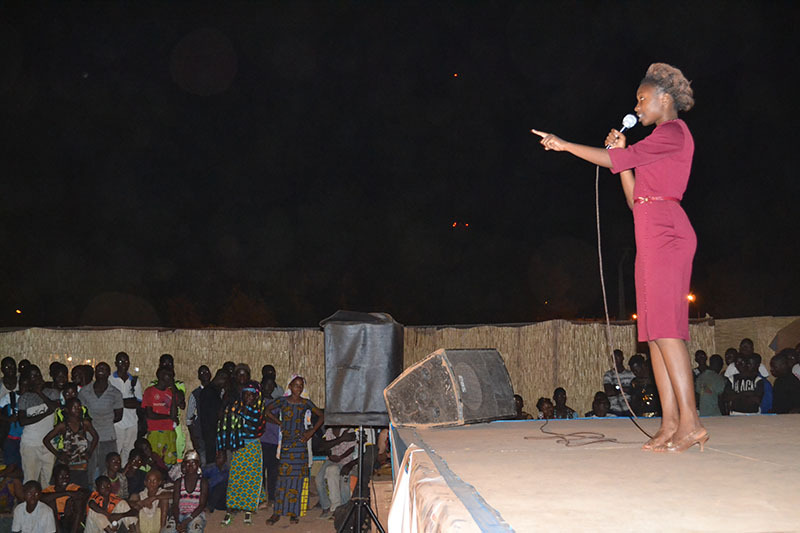 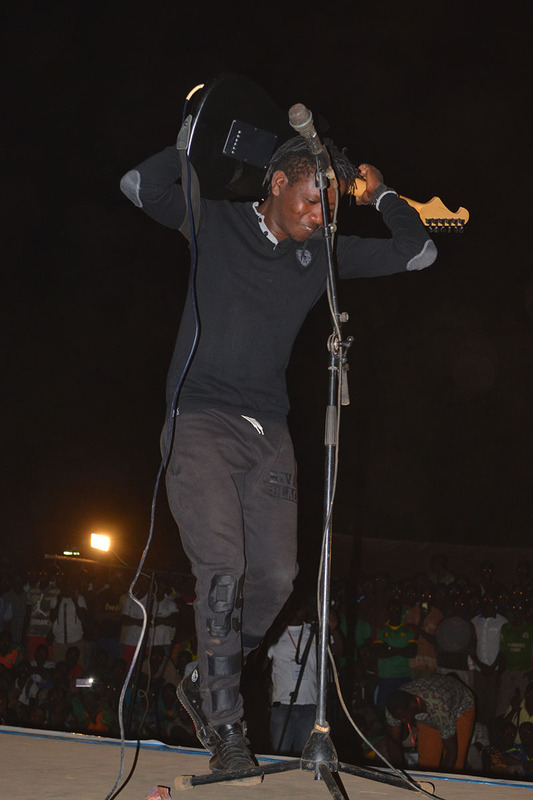 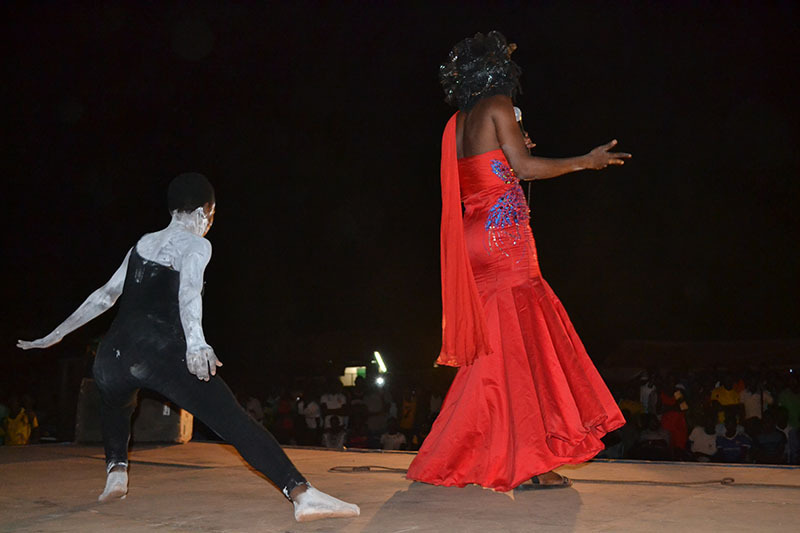 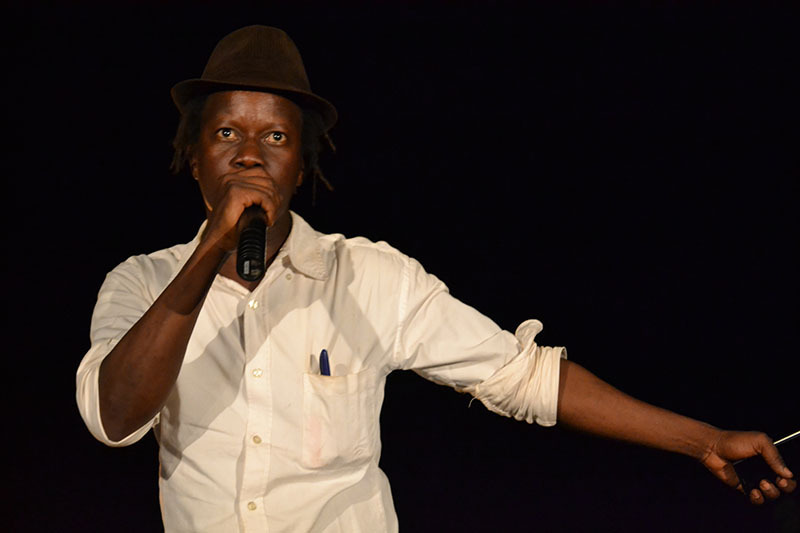 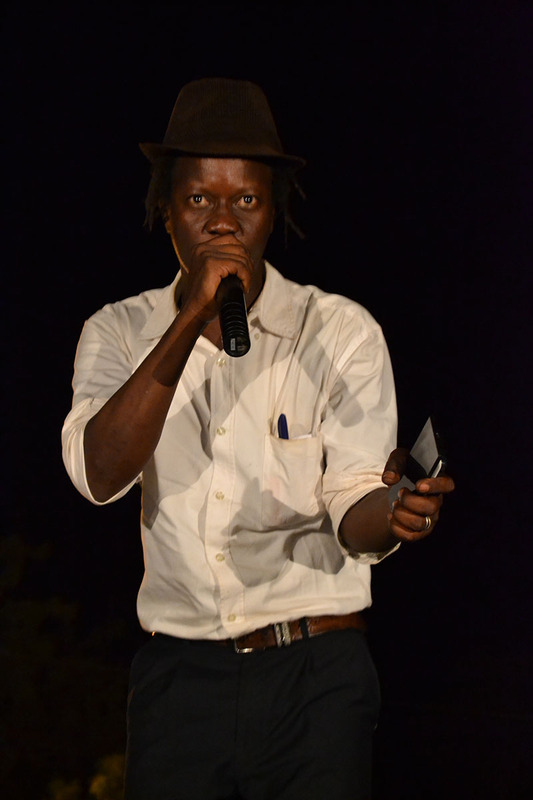 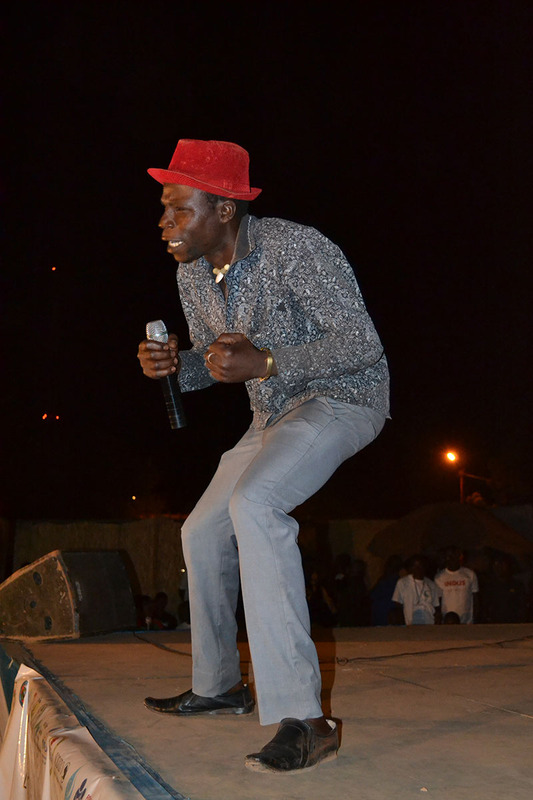 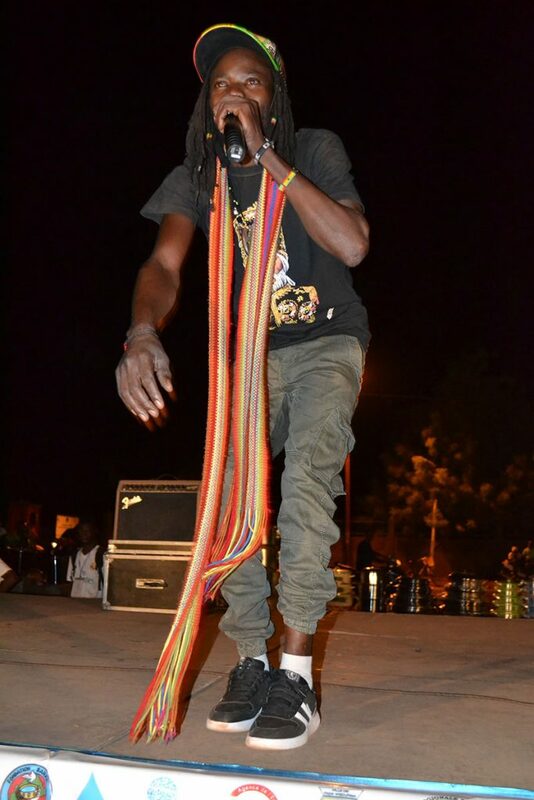 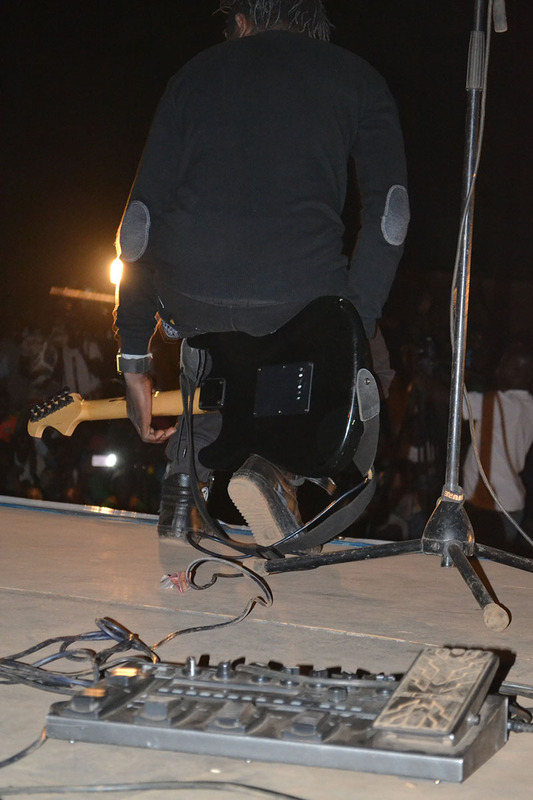 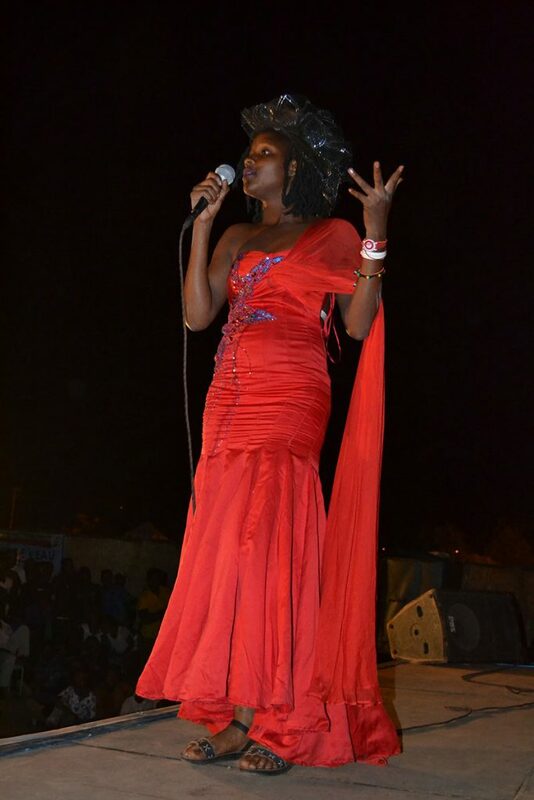 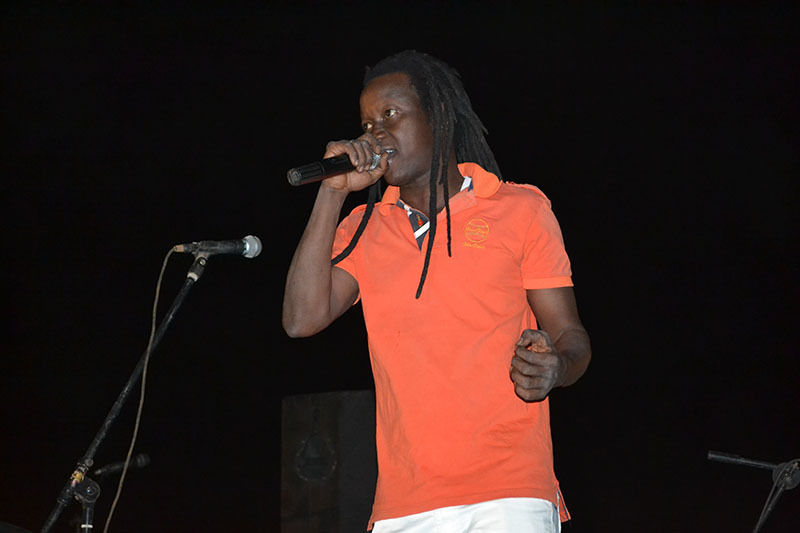 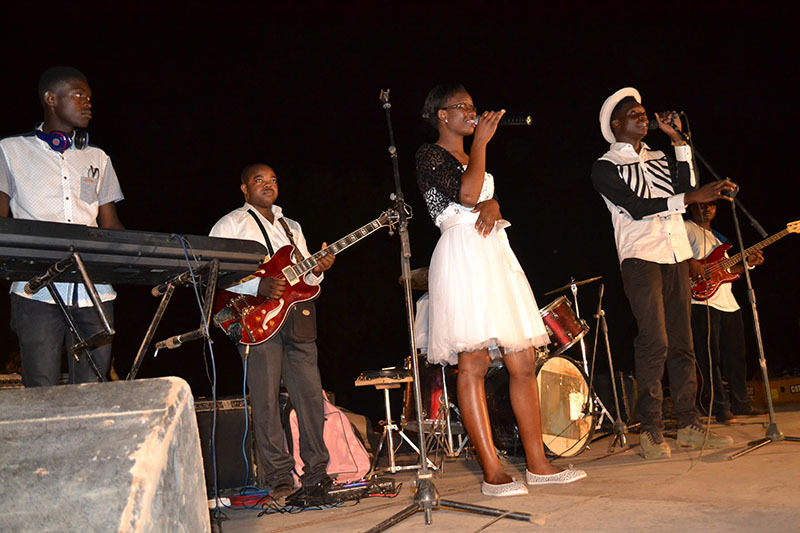 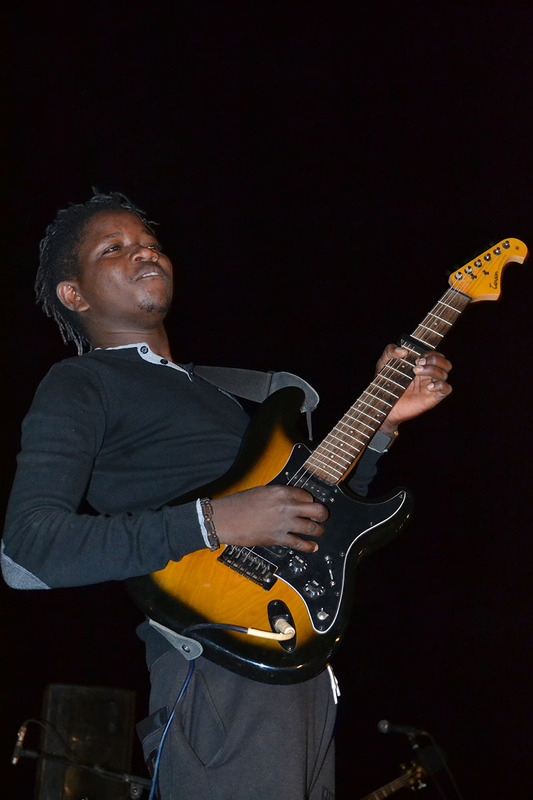 The Saturday night concert was headlined by internationally renowned artist Sana Bob. 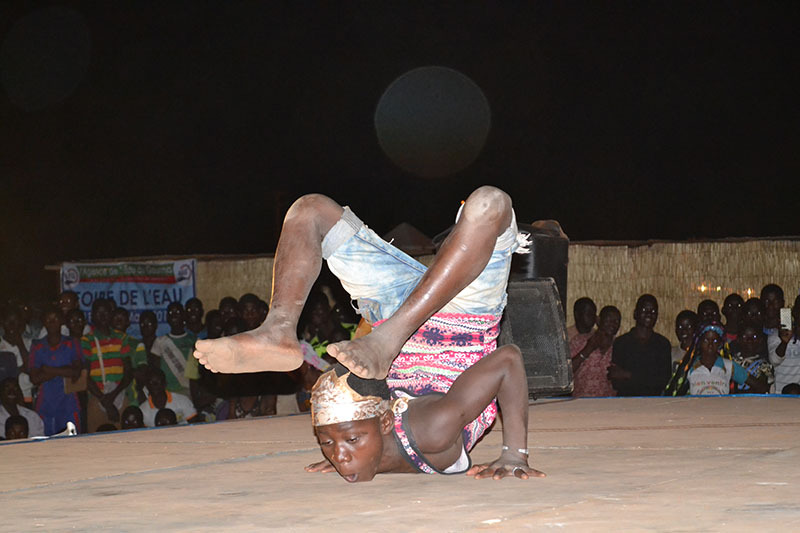 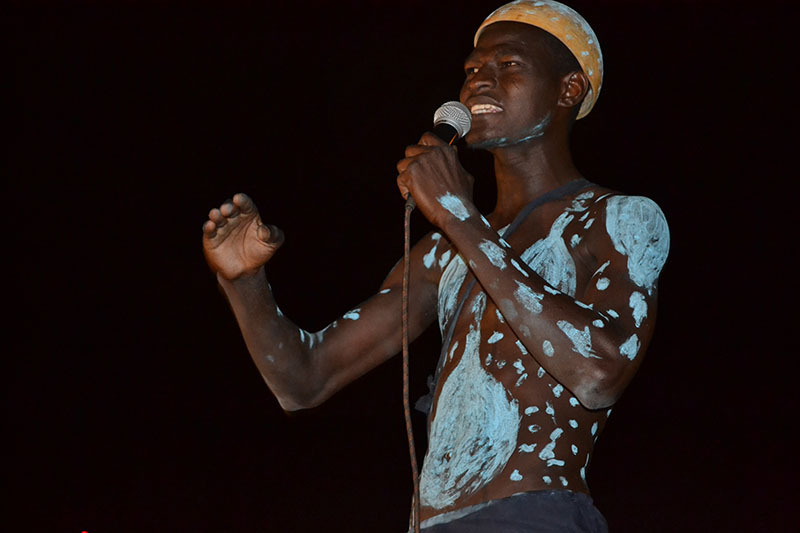 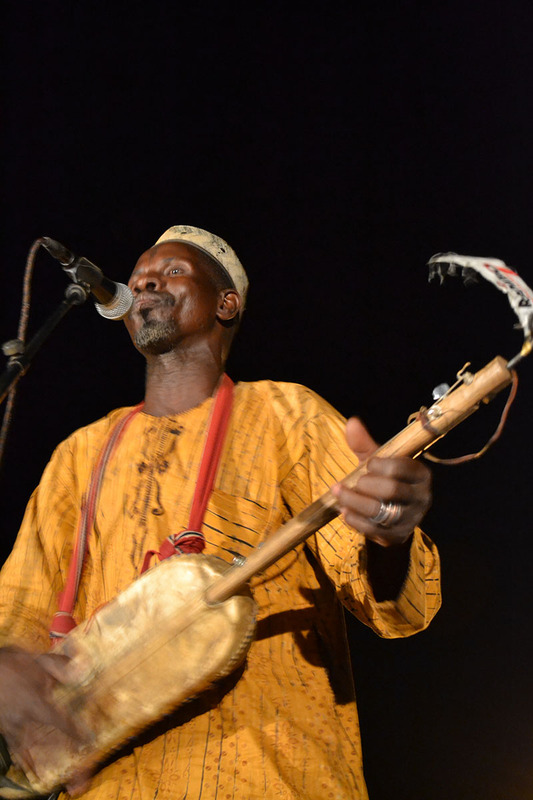 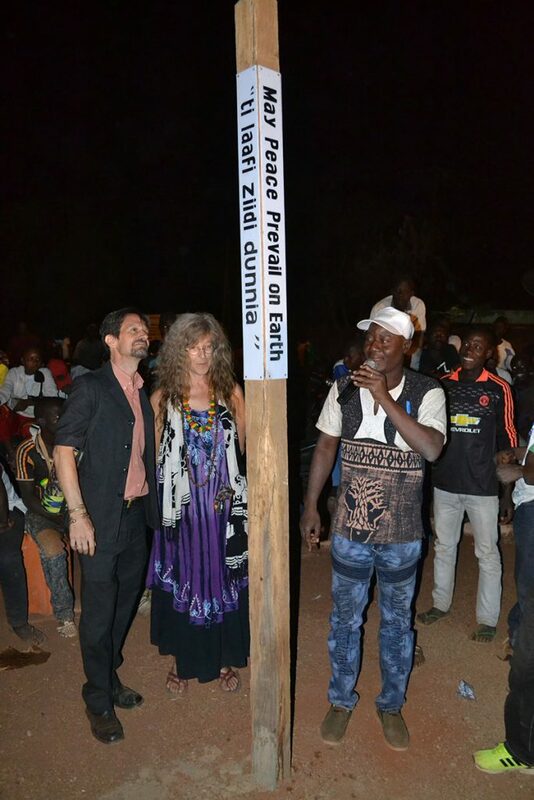 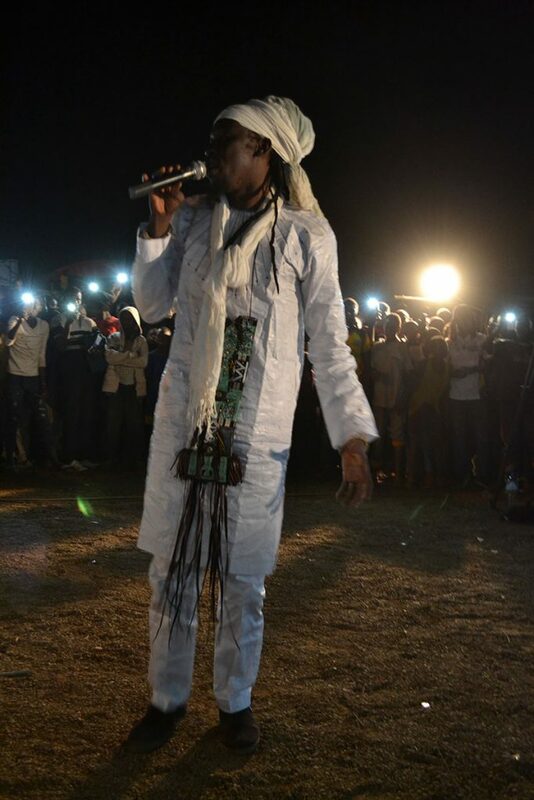 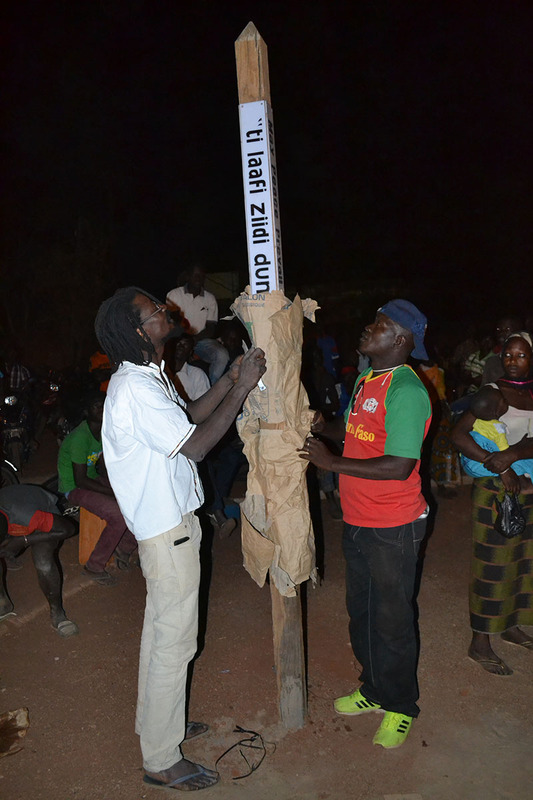 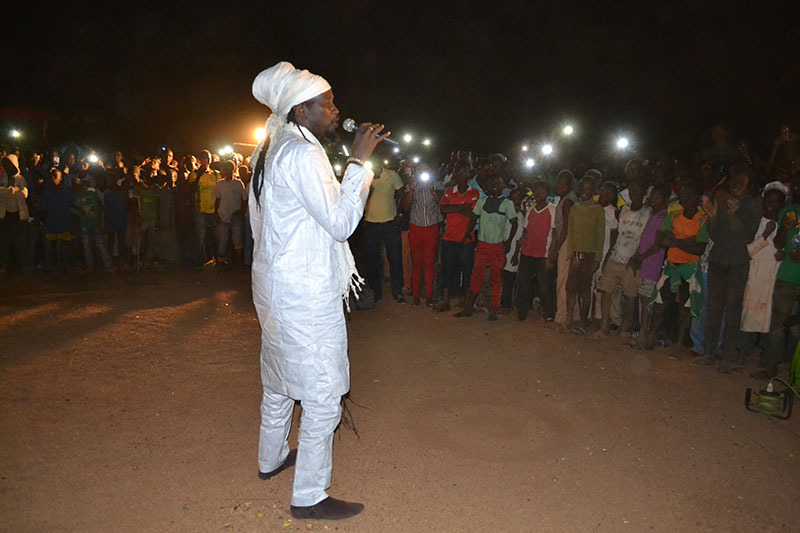 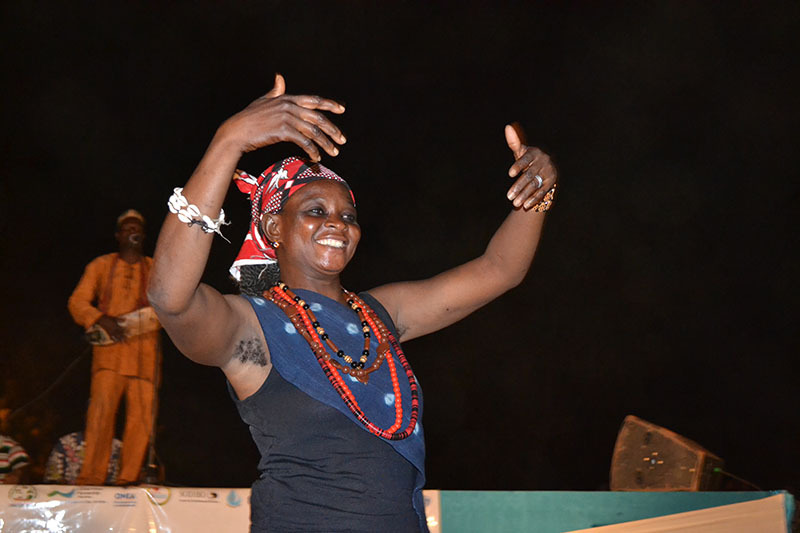 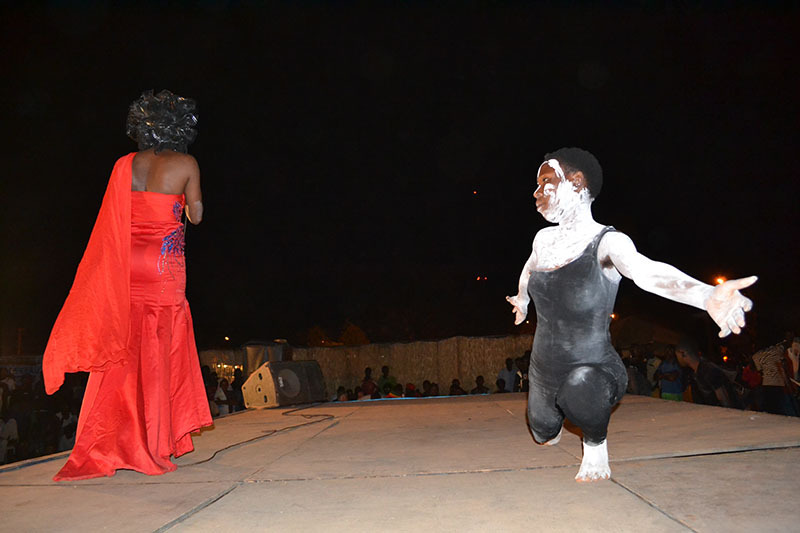 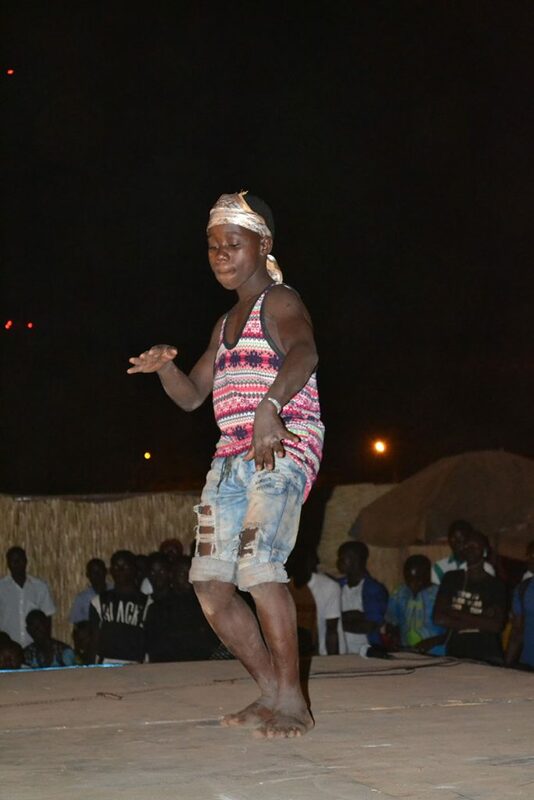 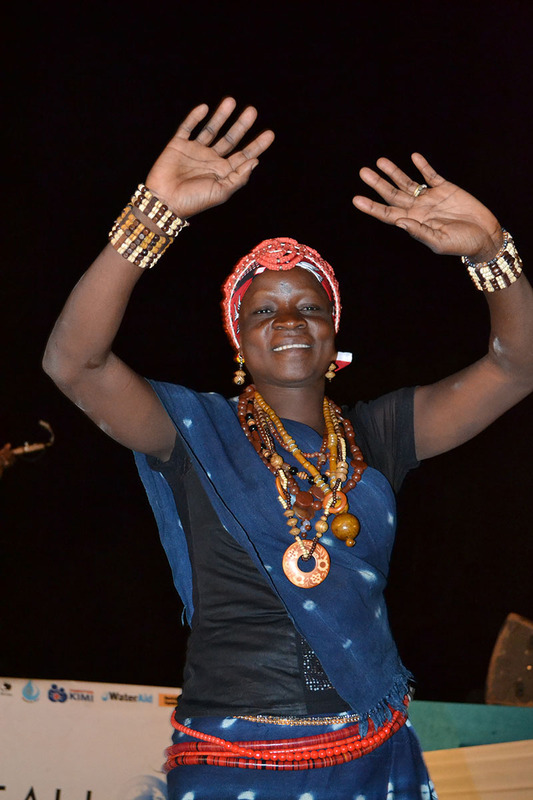 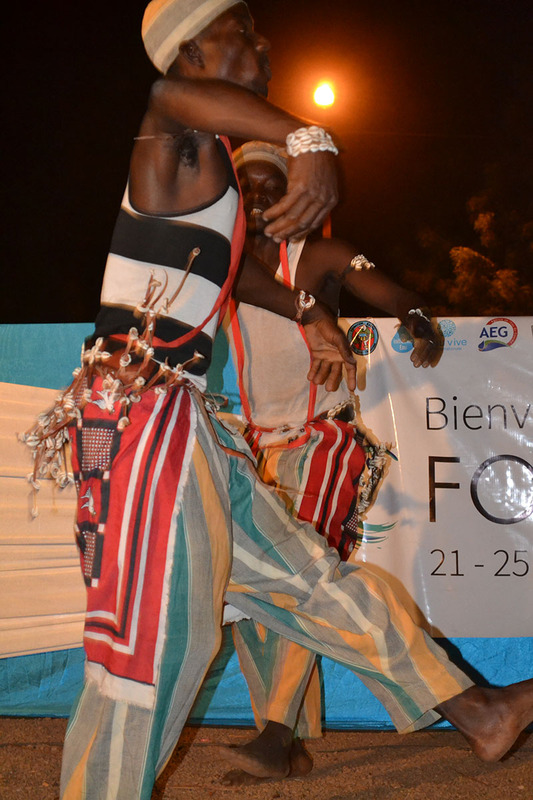 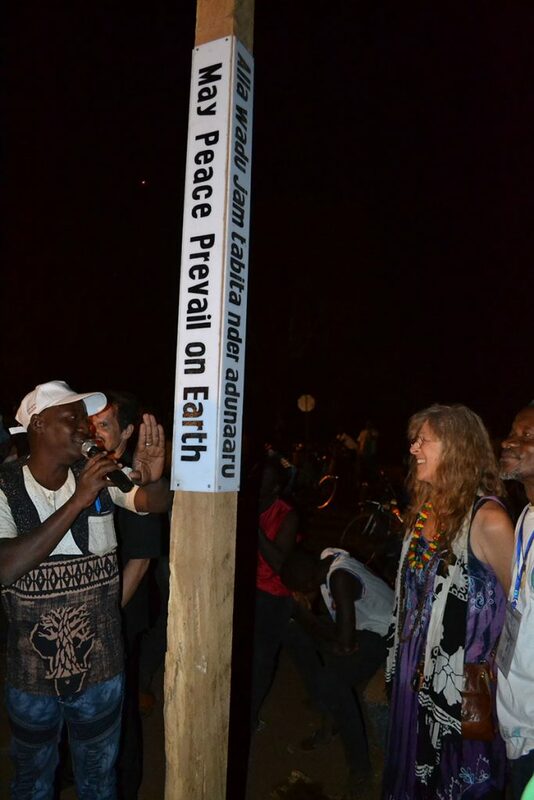 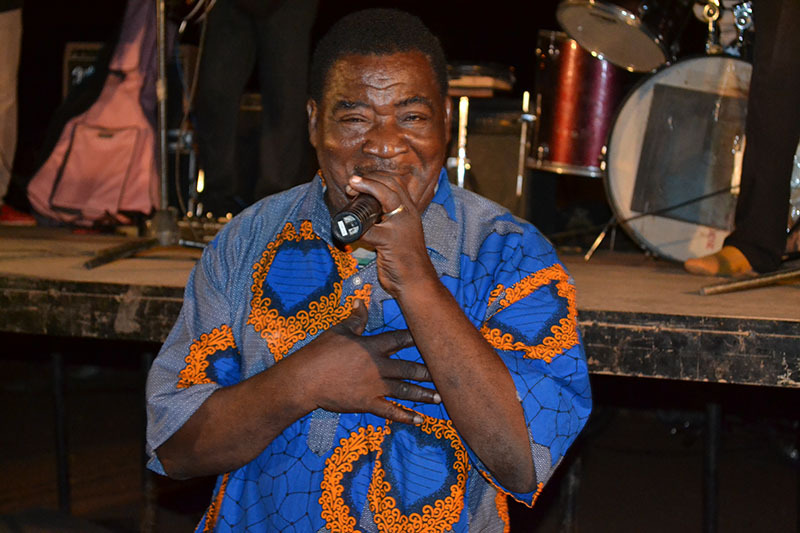 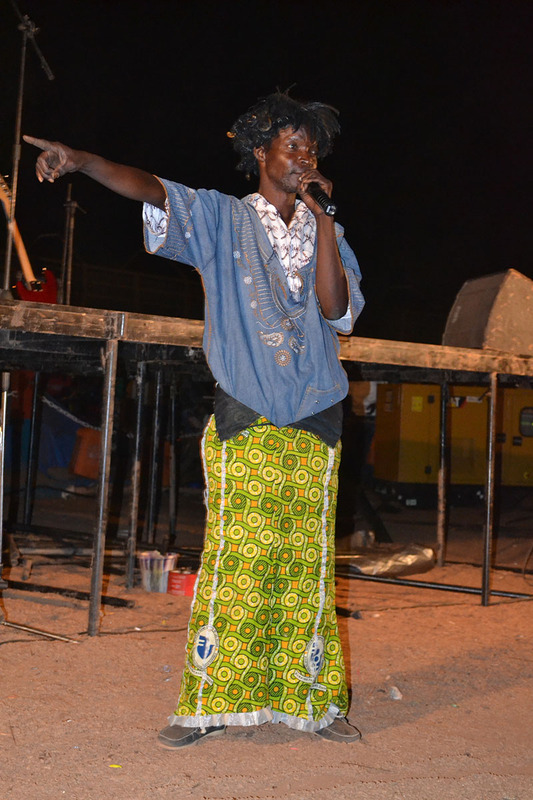 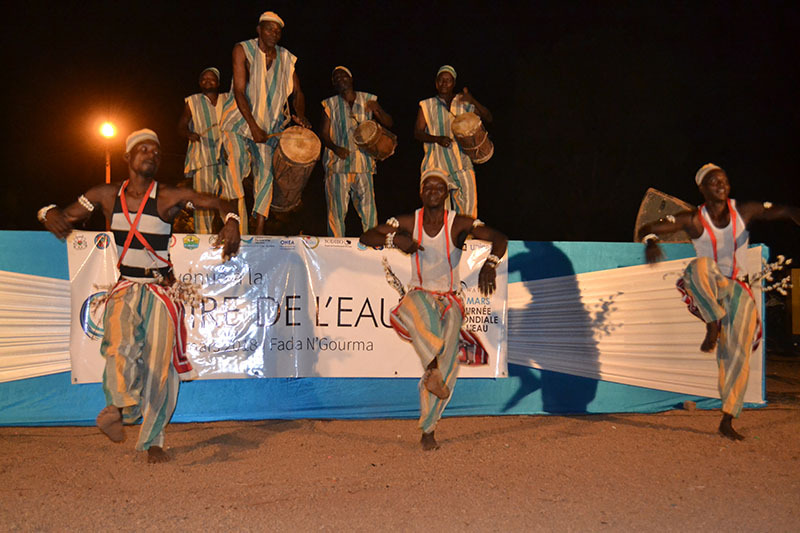 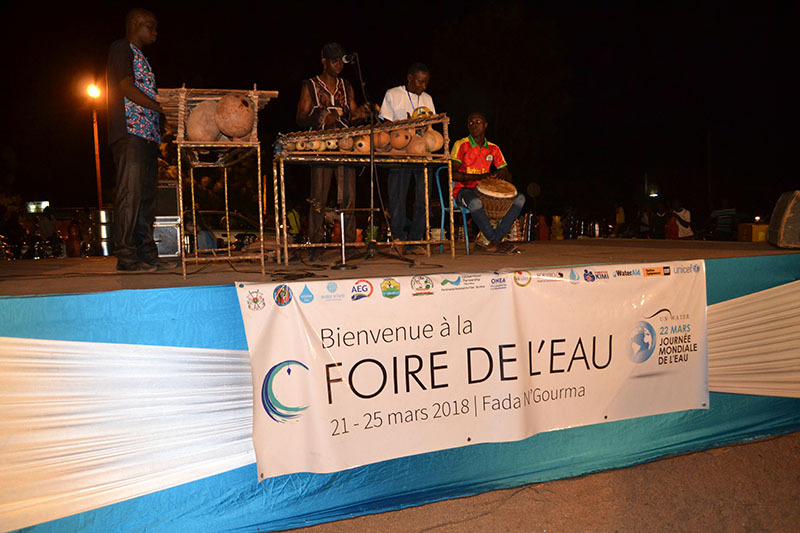 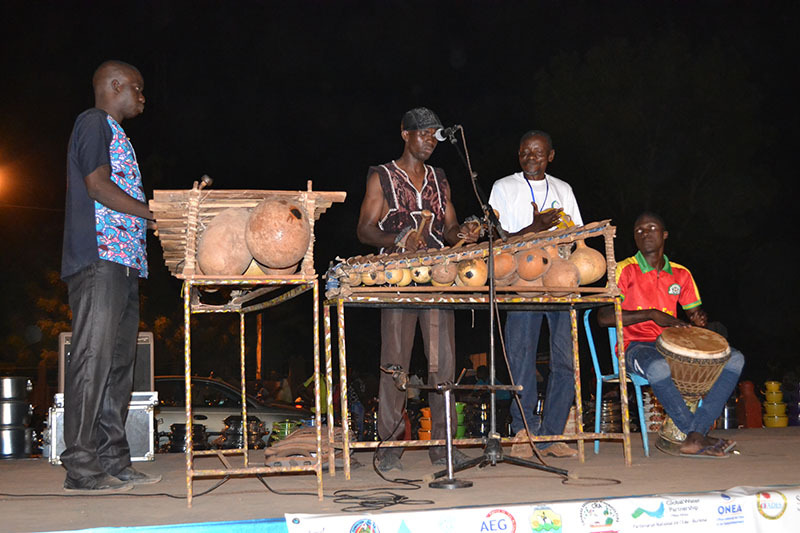 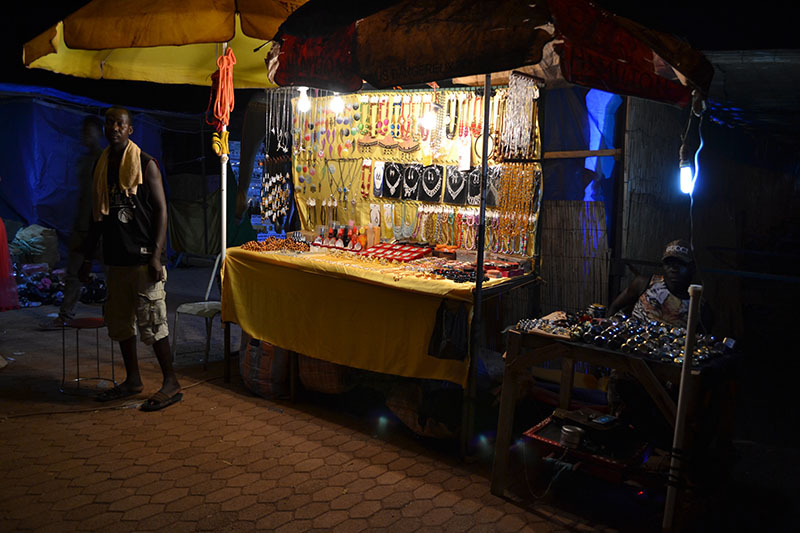 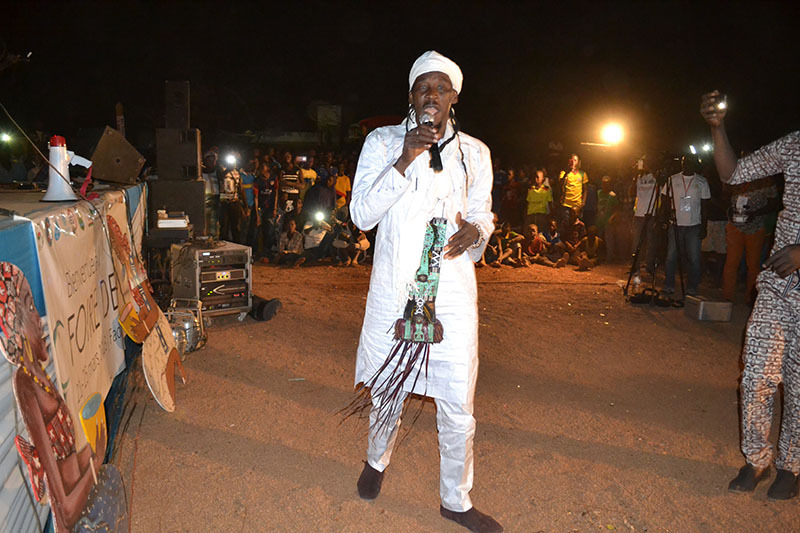 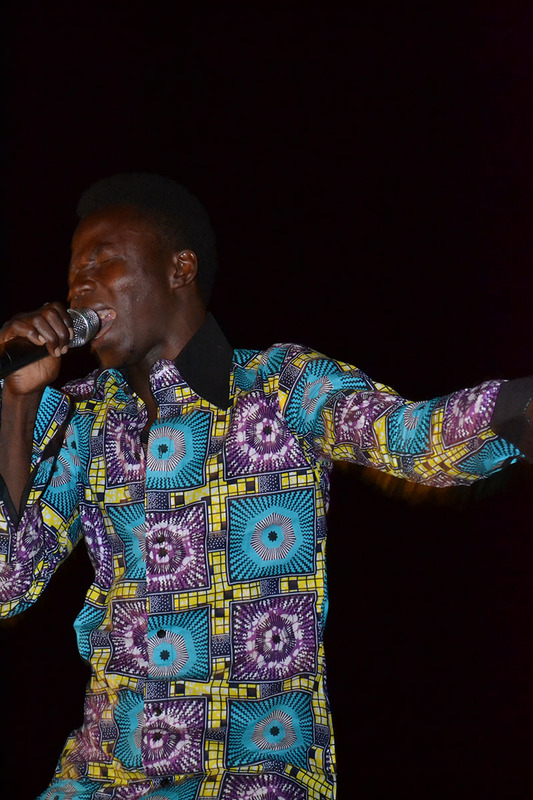 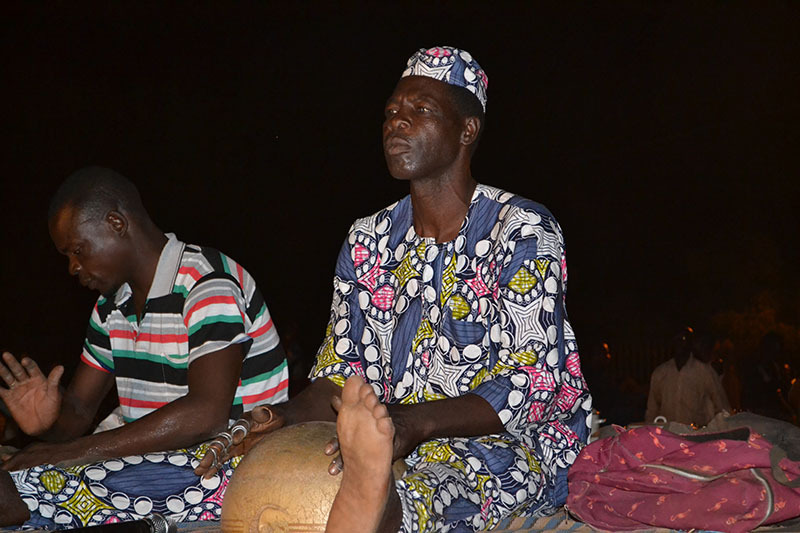 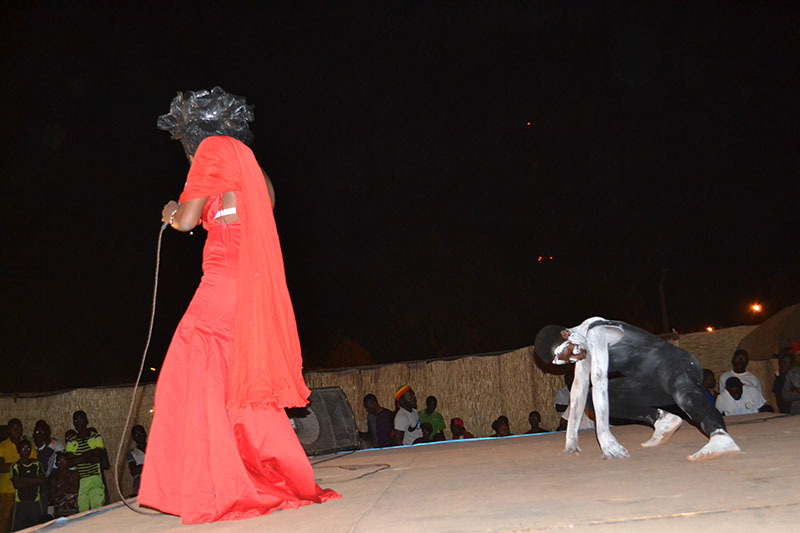 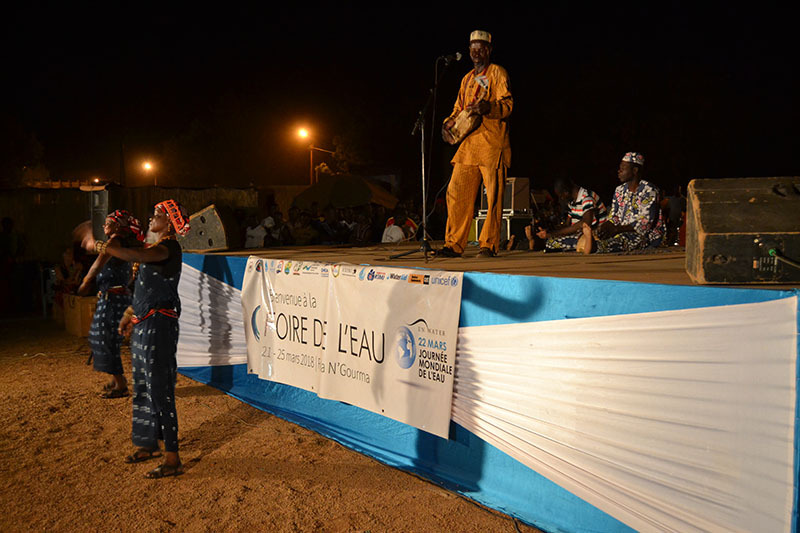 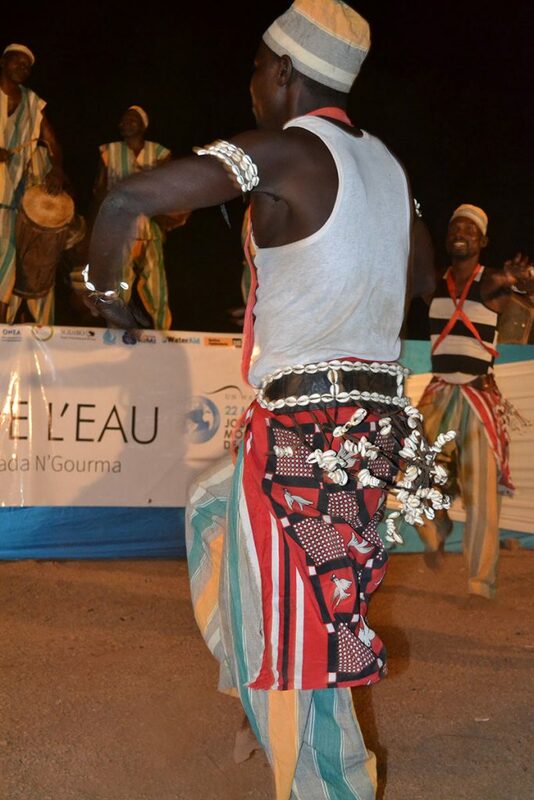 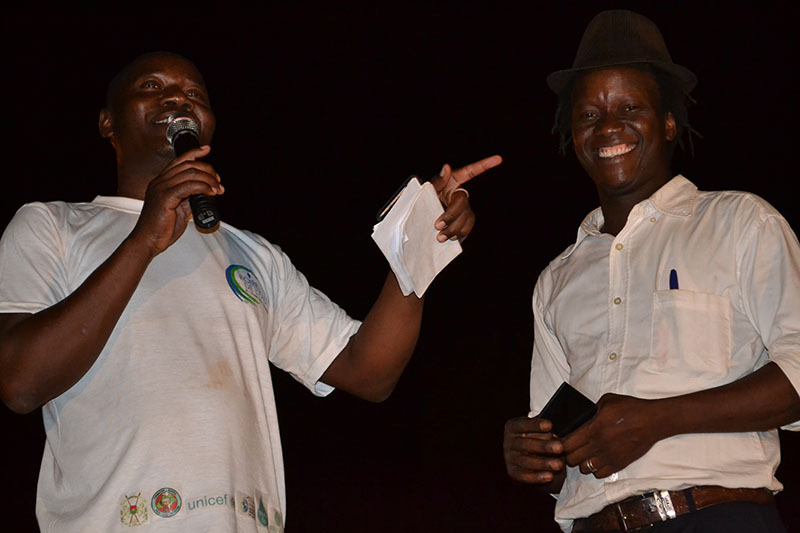 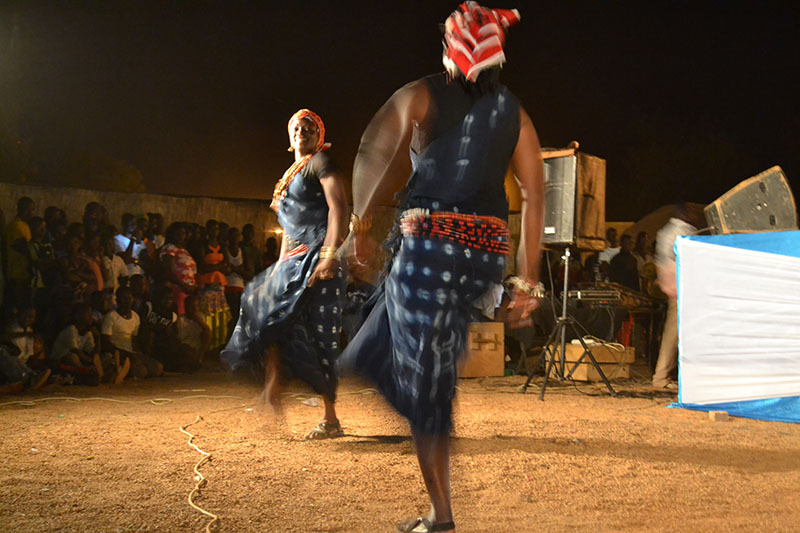 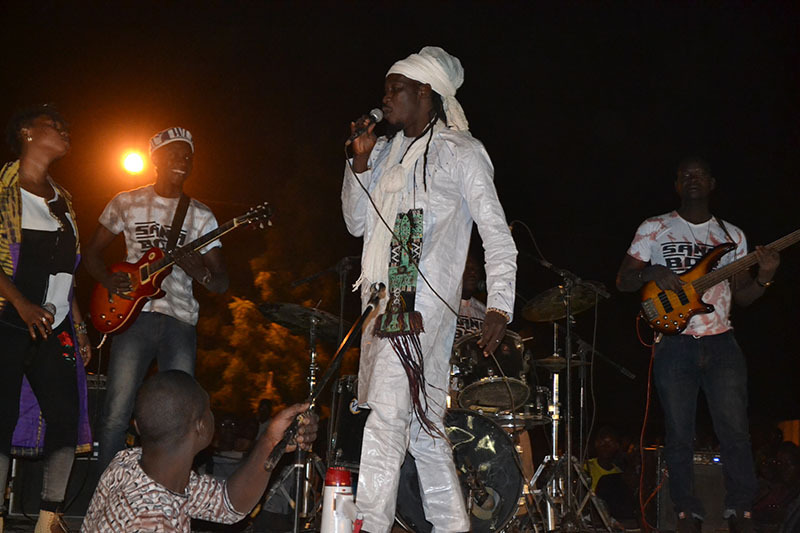 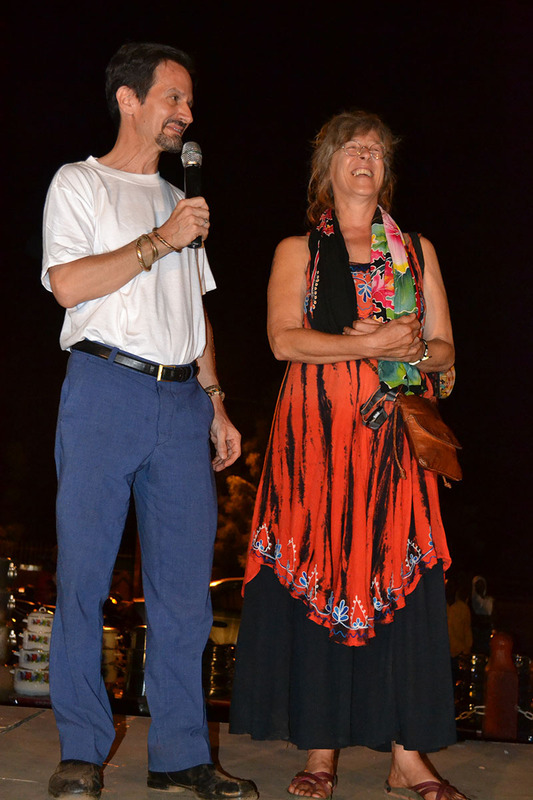 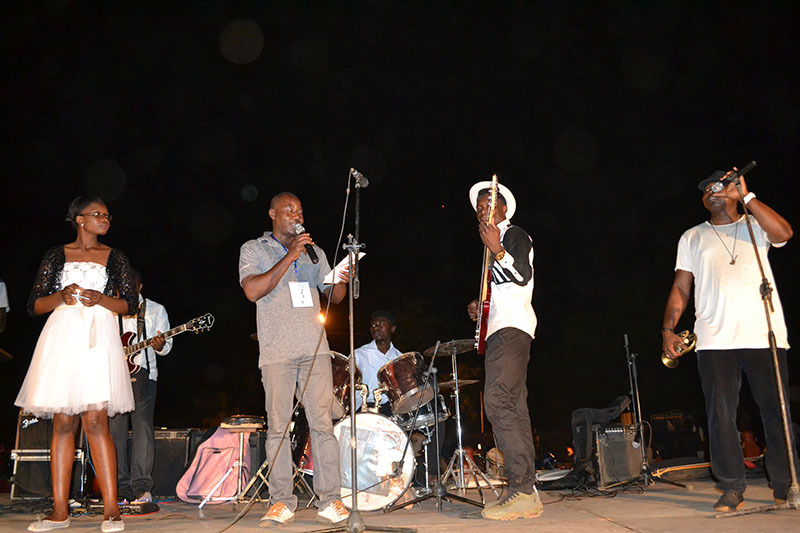 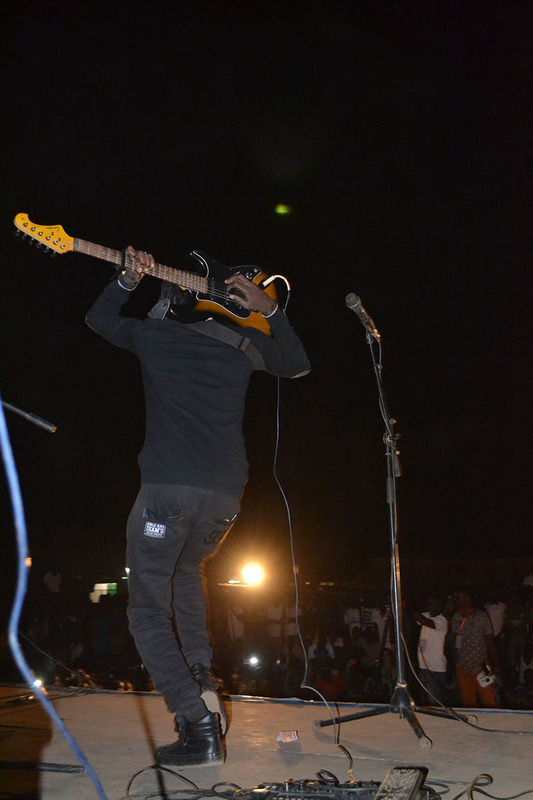 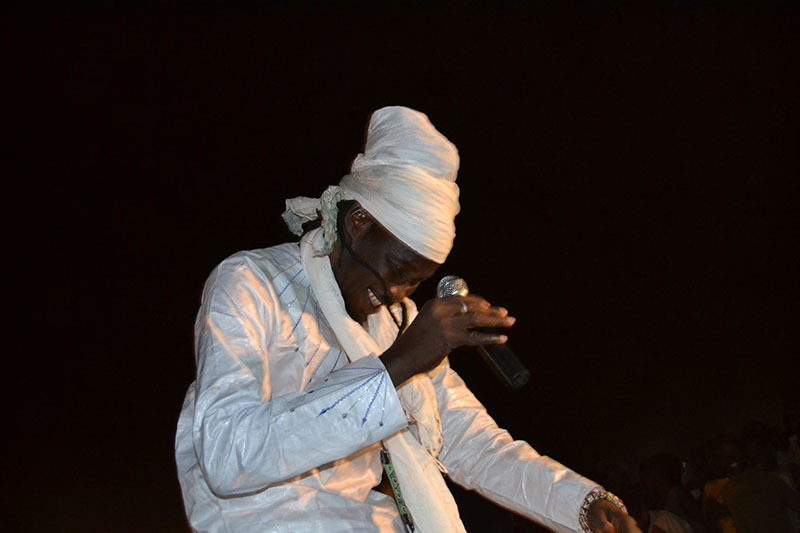 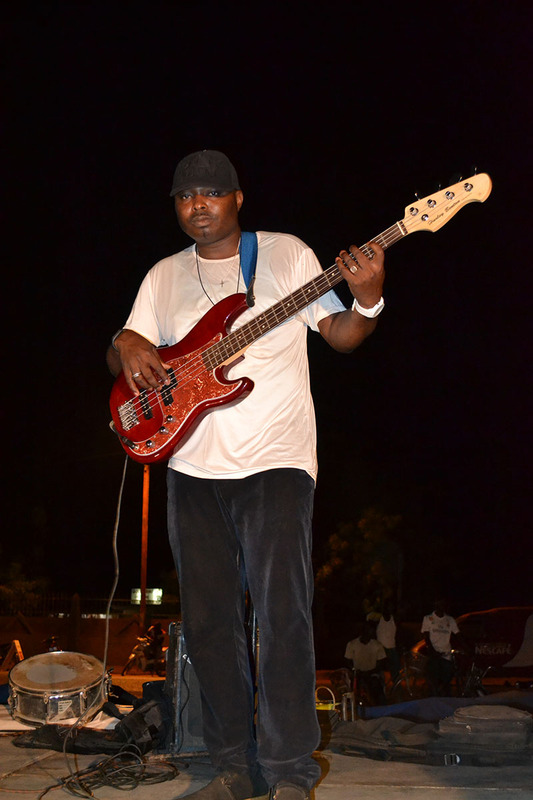 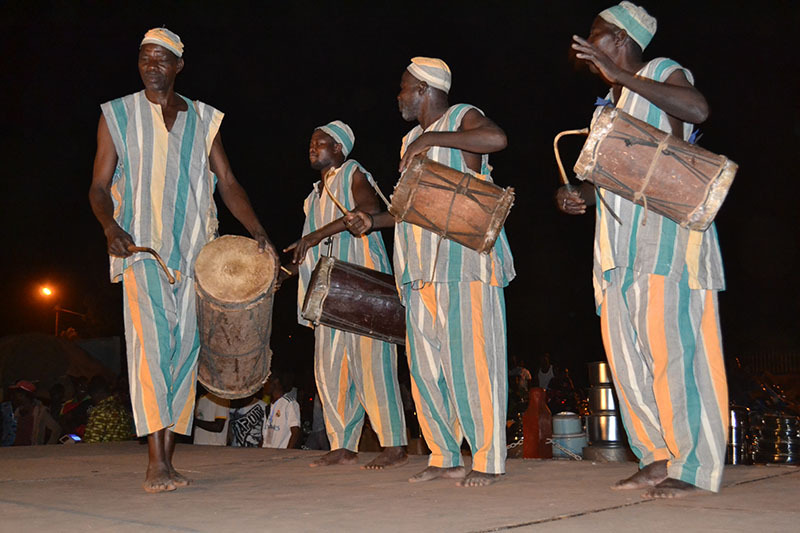 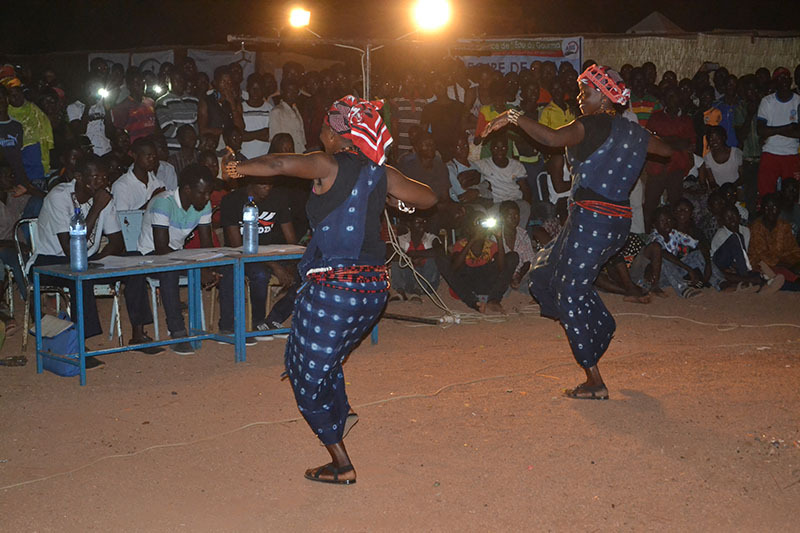 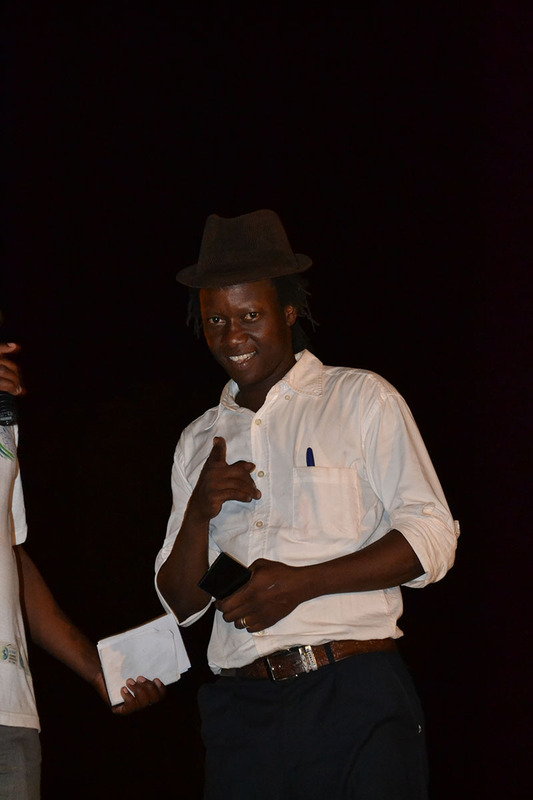 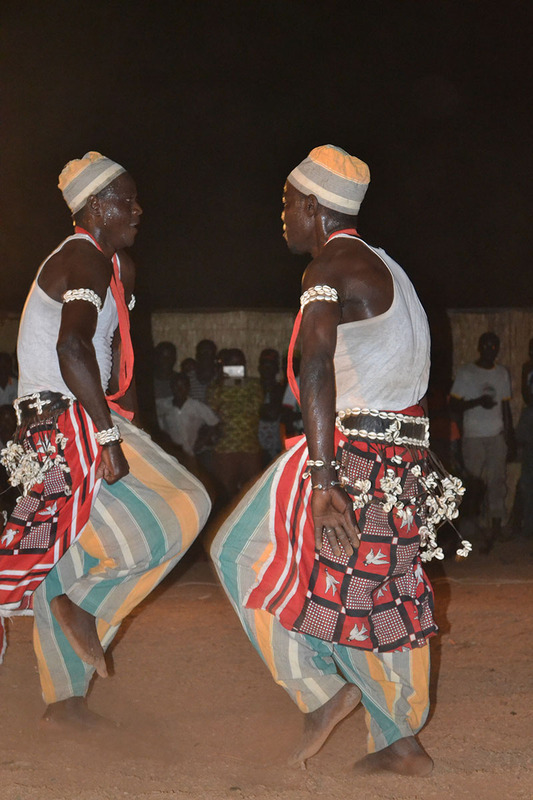 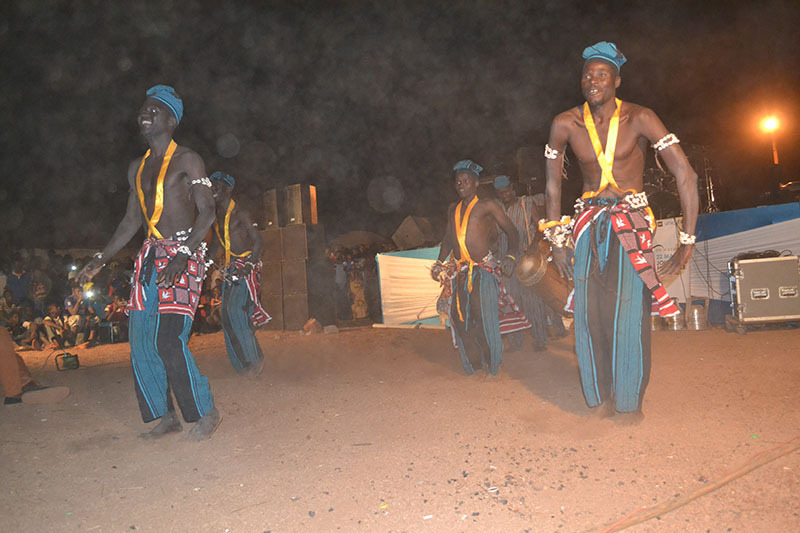 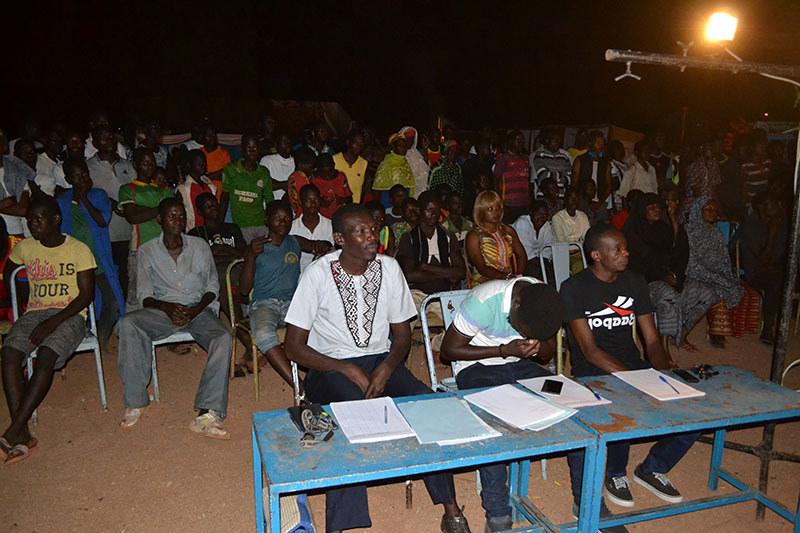 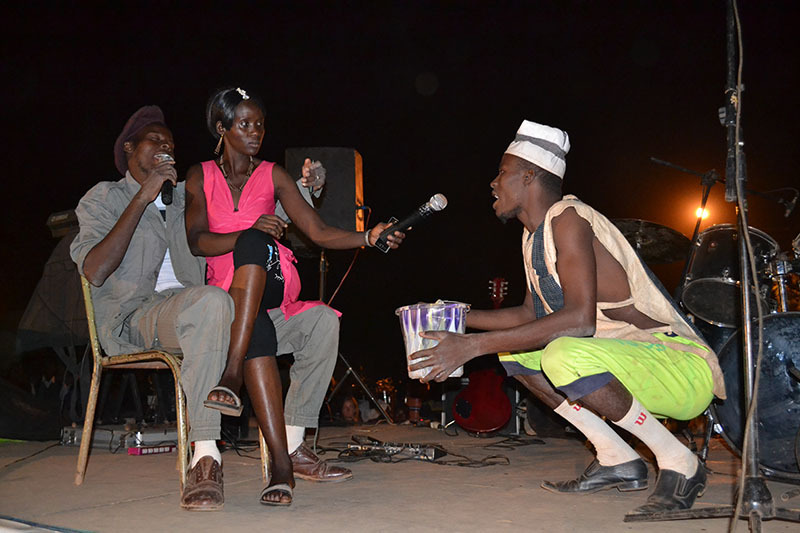 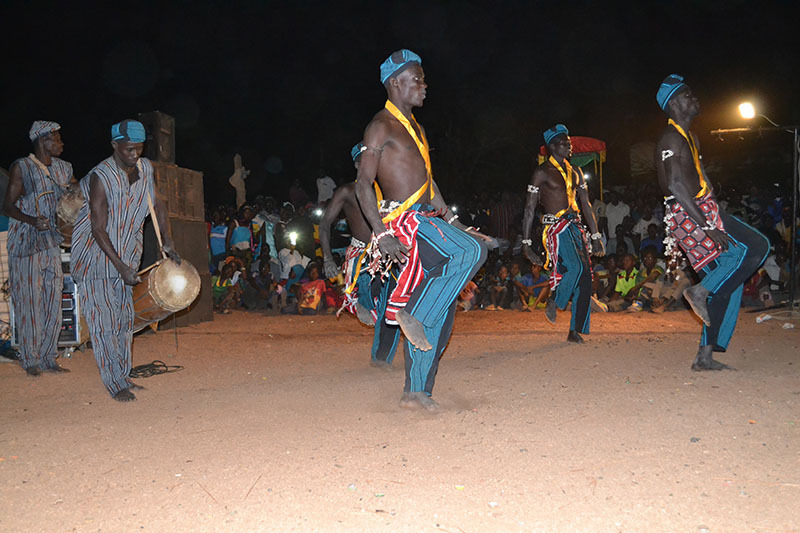 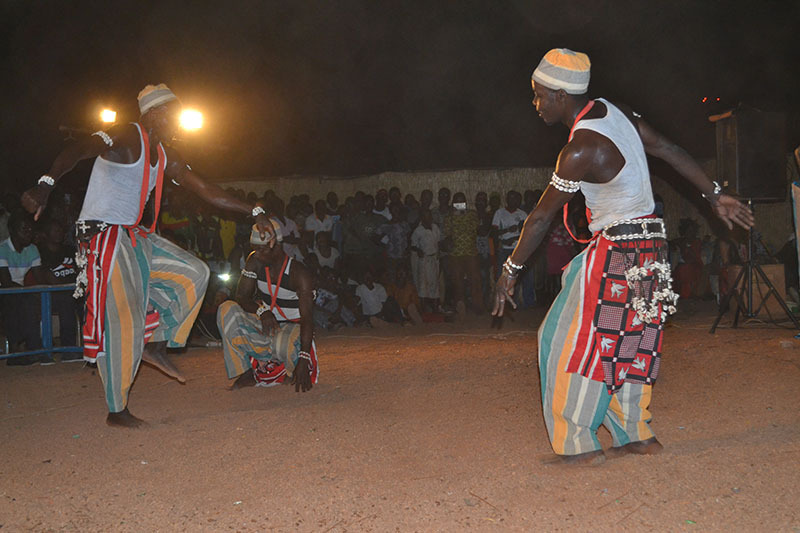 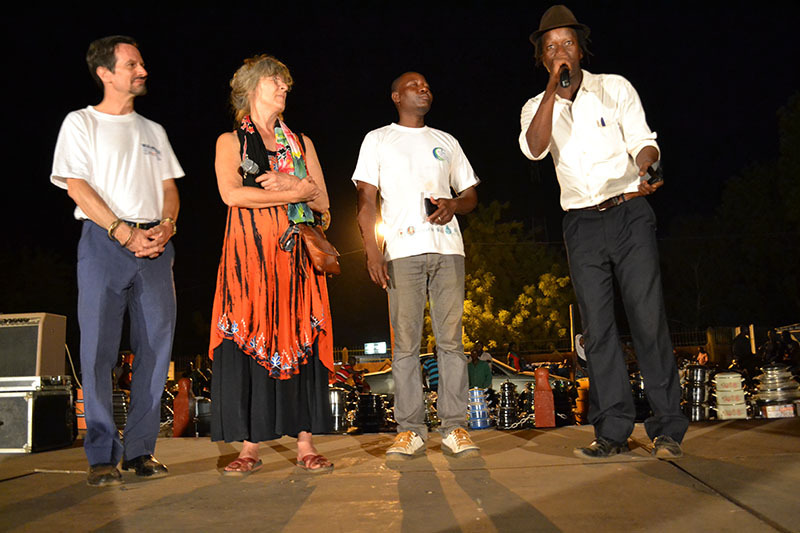 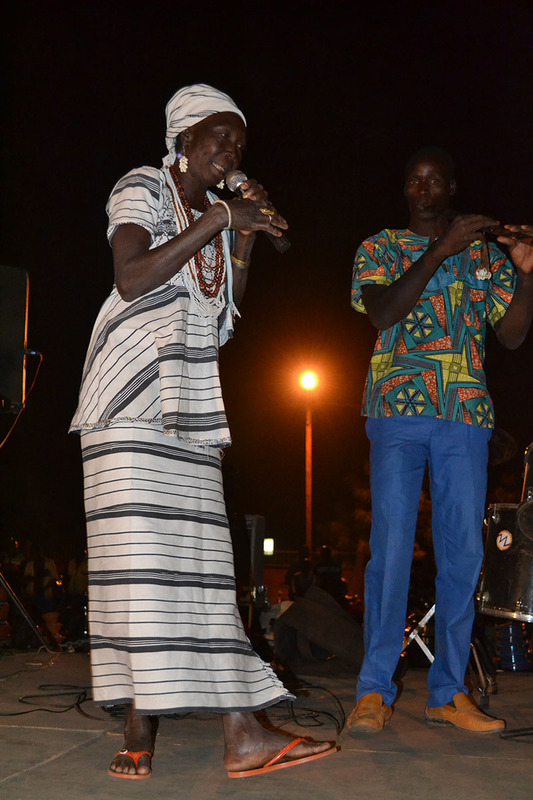 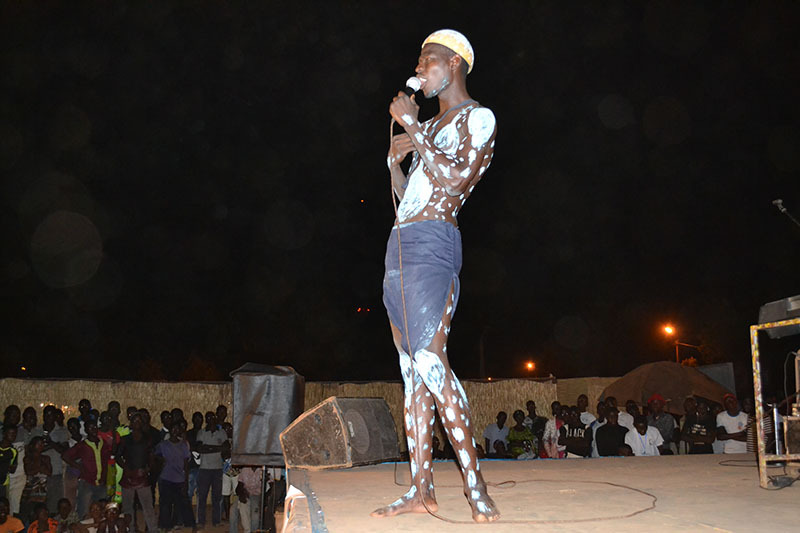 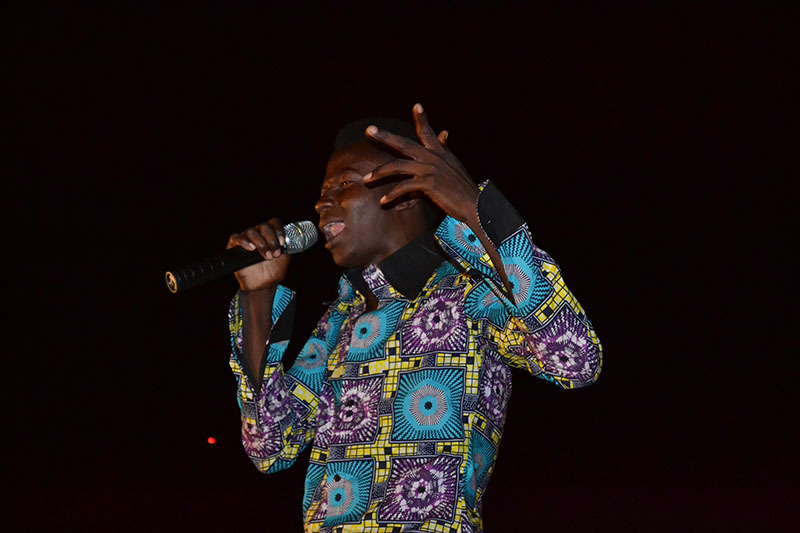 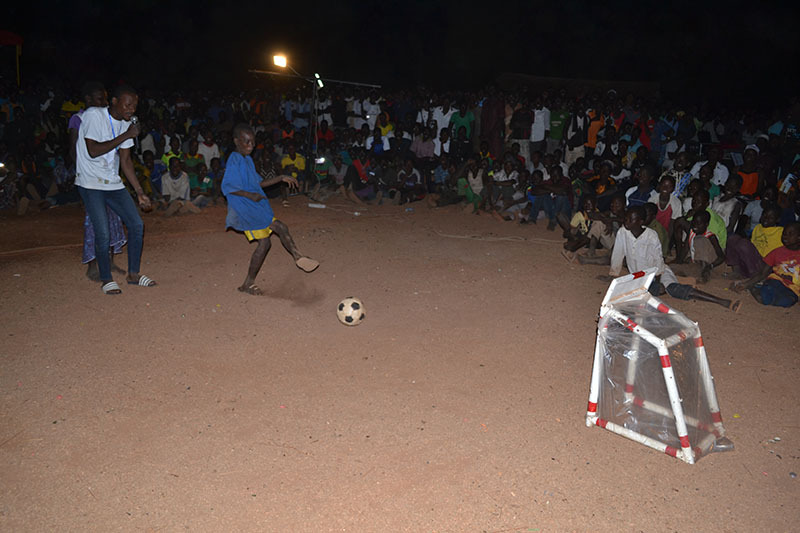 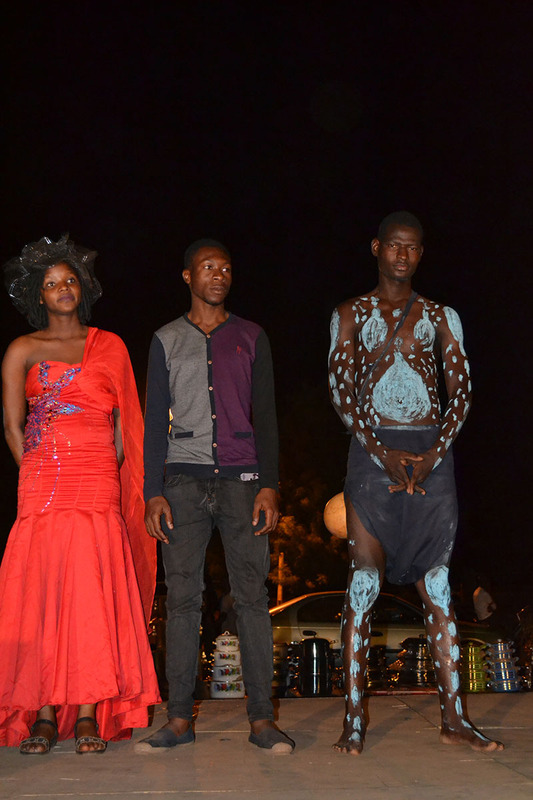 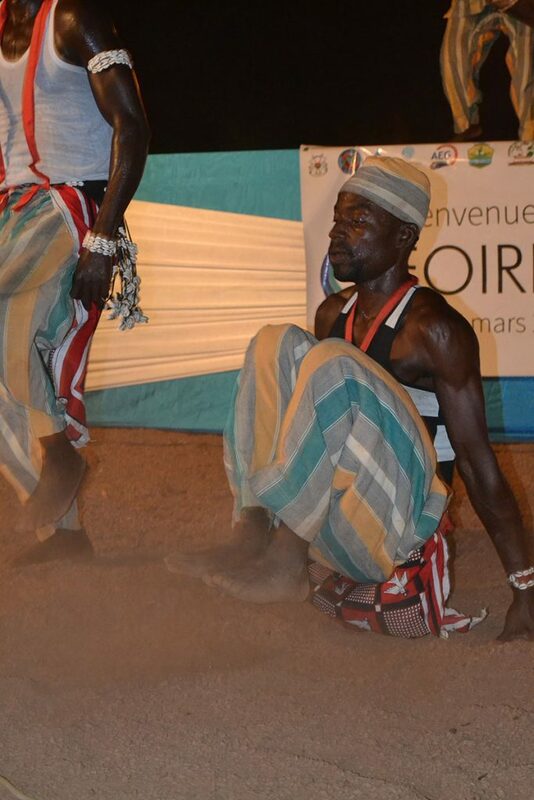 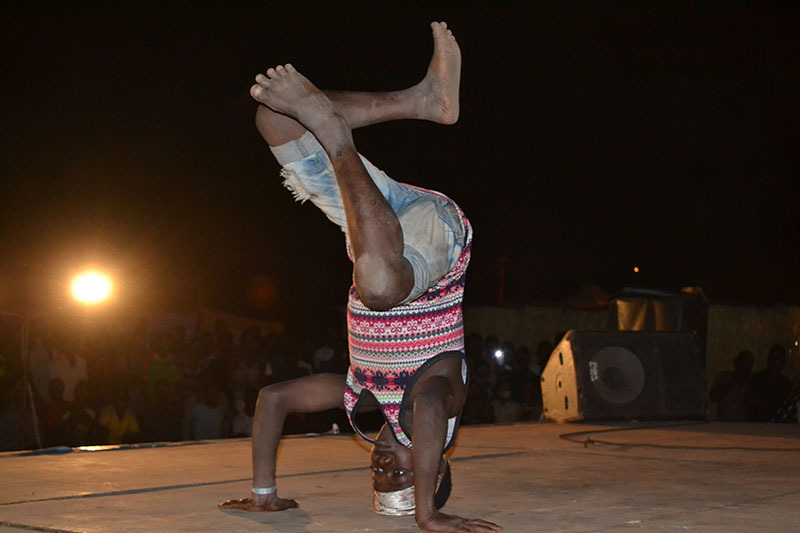 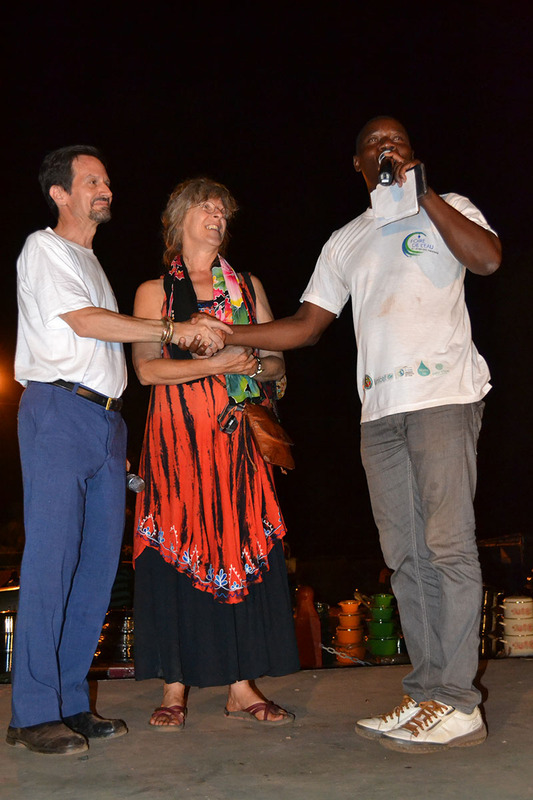 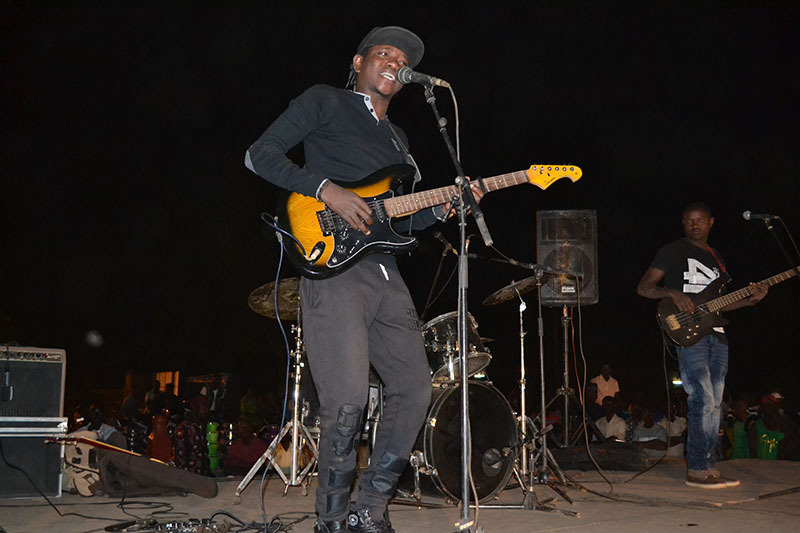 The Nights of the Fair was supported by Burkina’s Minister of Culture. 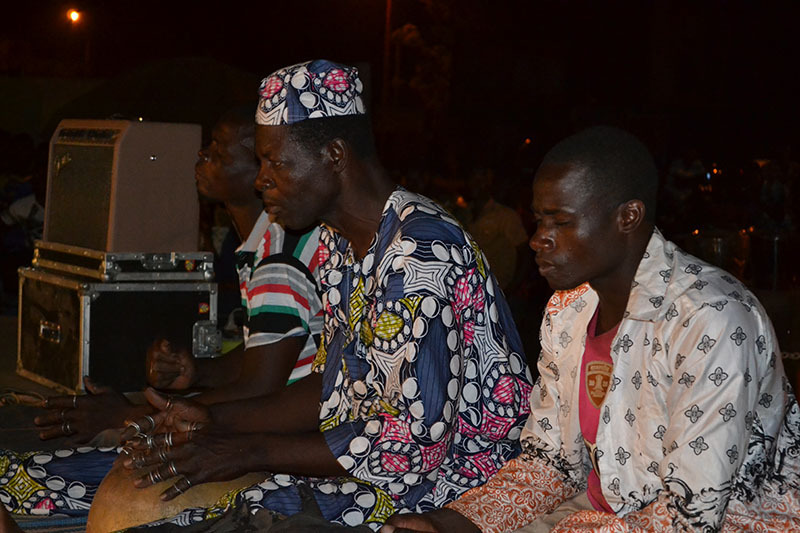 Over 5000 people attended the events during the 3 nights of the Fair. 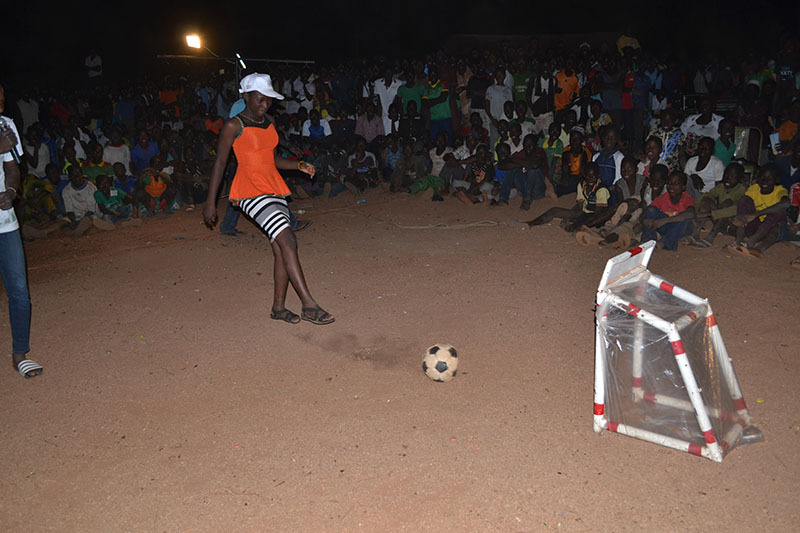 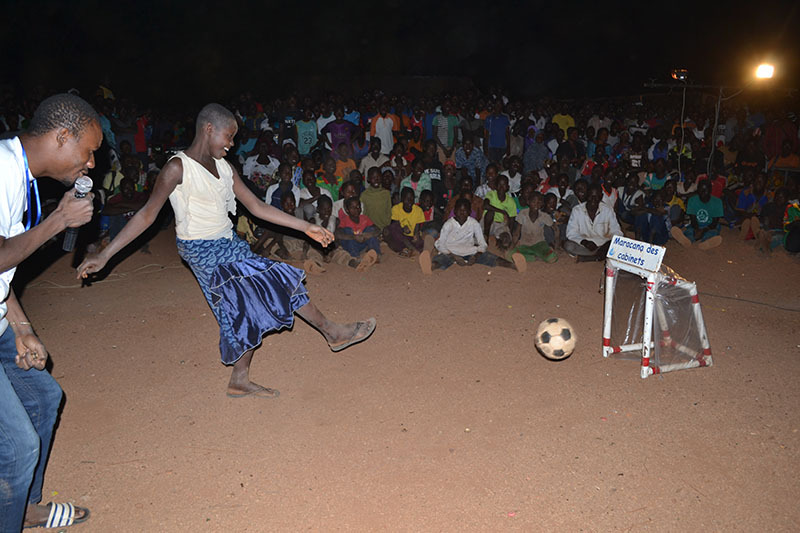 Getting the ball in the net equated with good aim in the pit latrine!